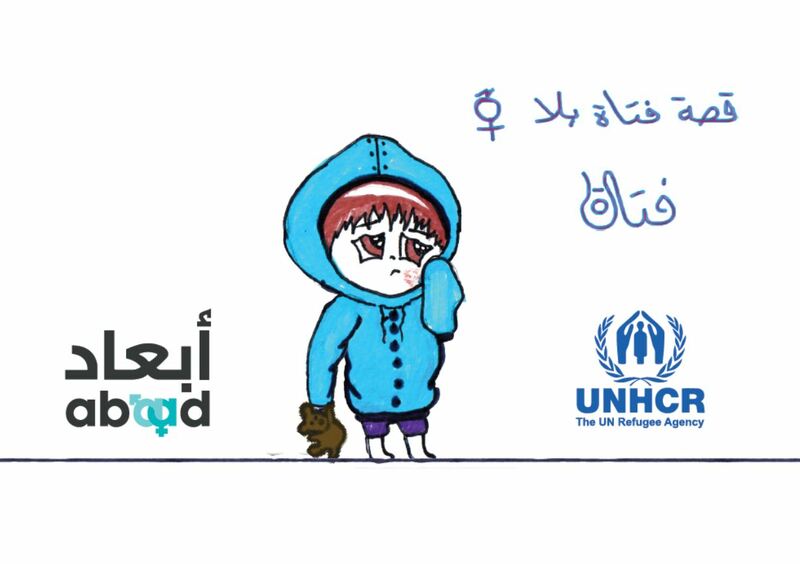 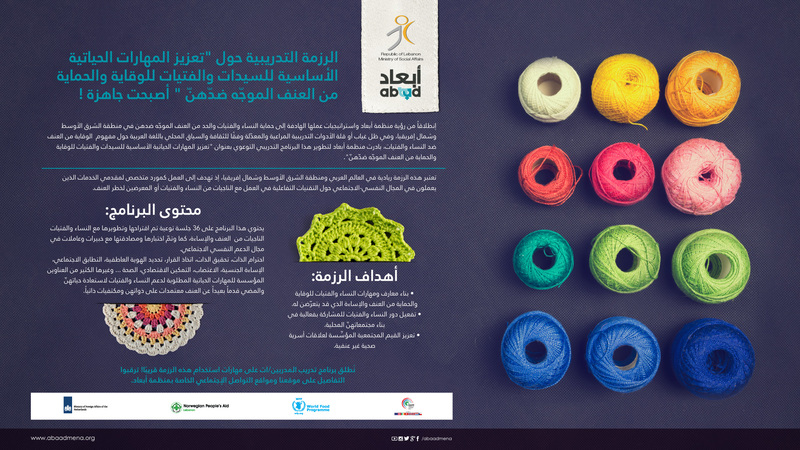 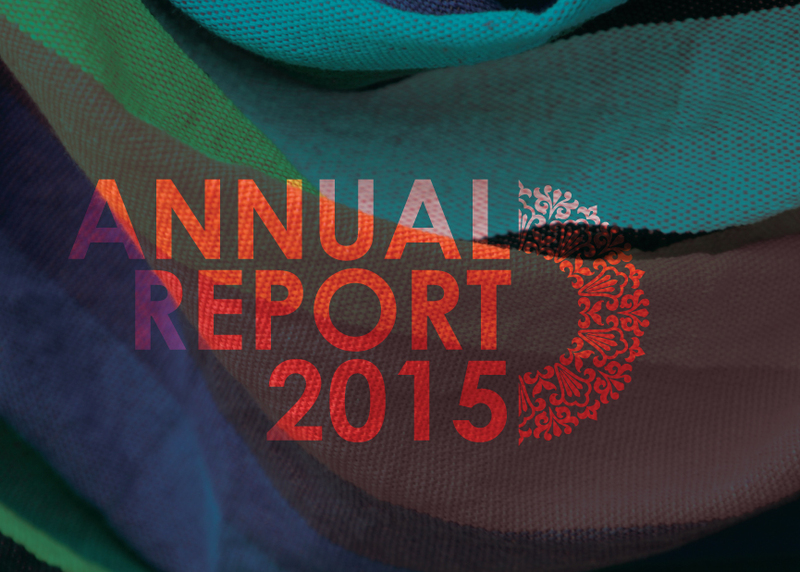 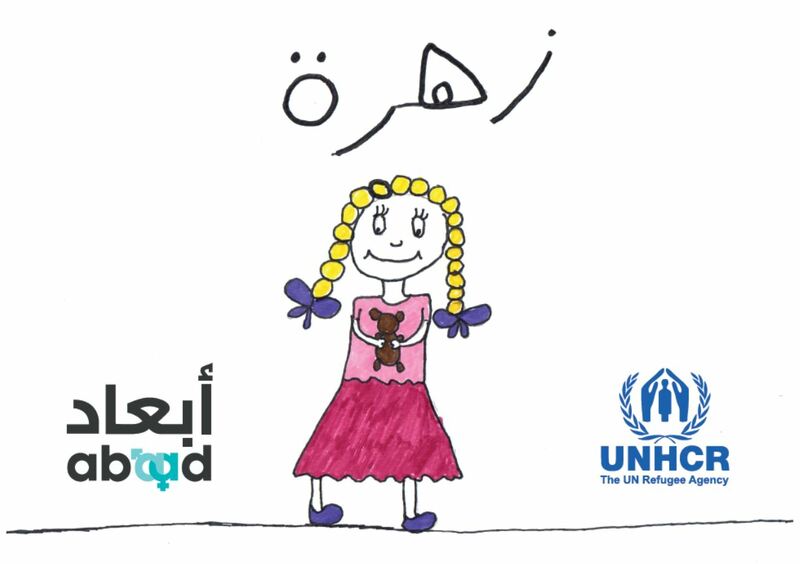 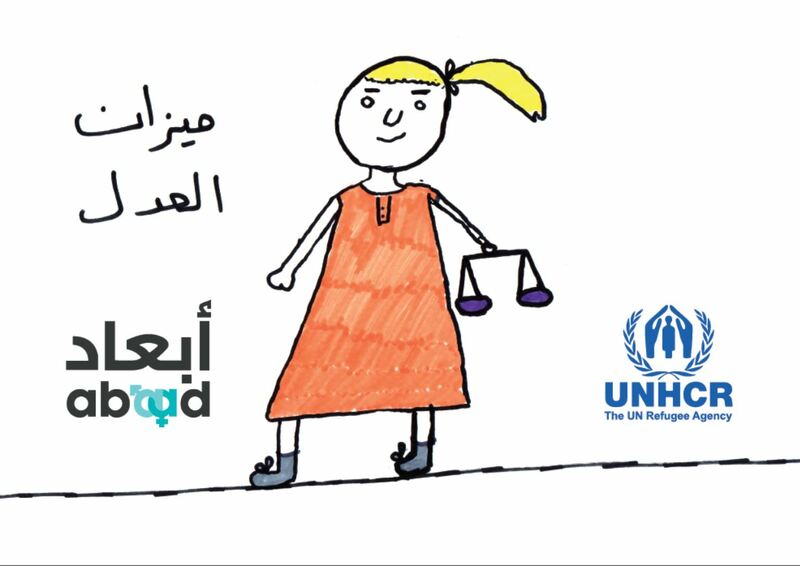 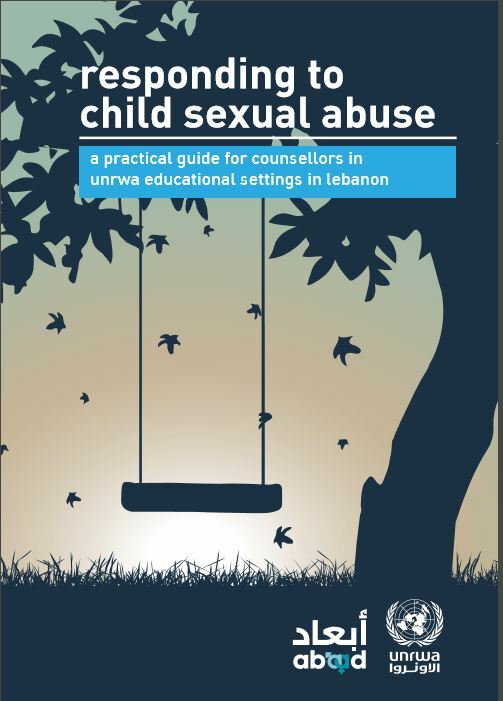 Responding and Empowering-GBV Services in Lebanon in Response to the Syrian Crisis. 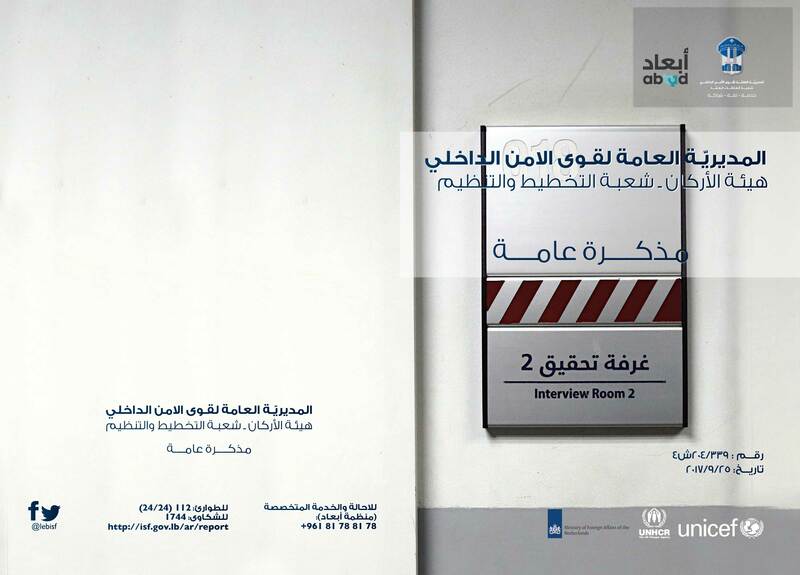 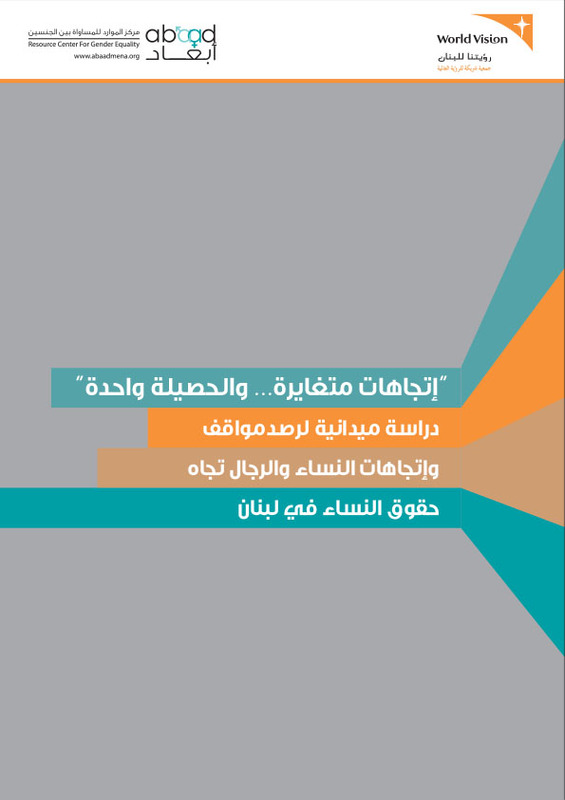 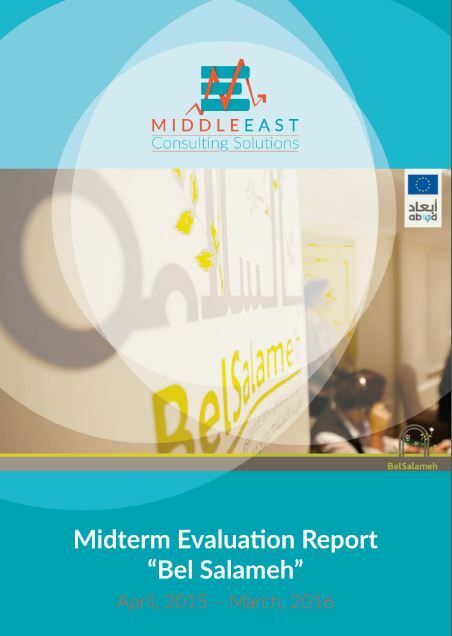 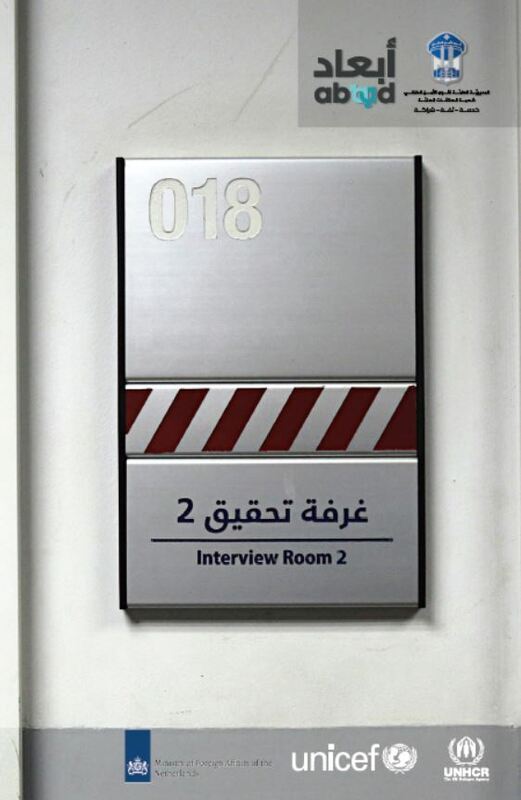 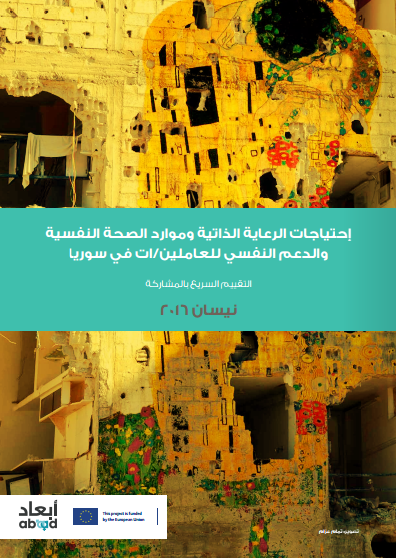 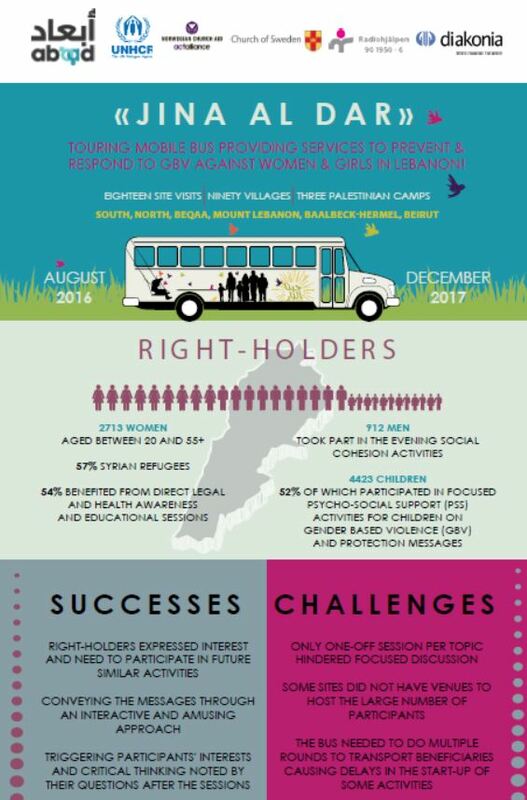 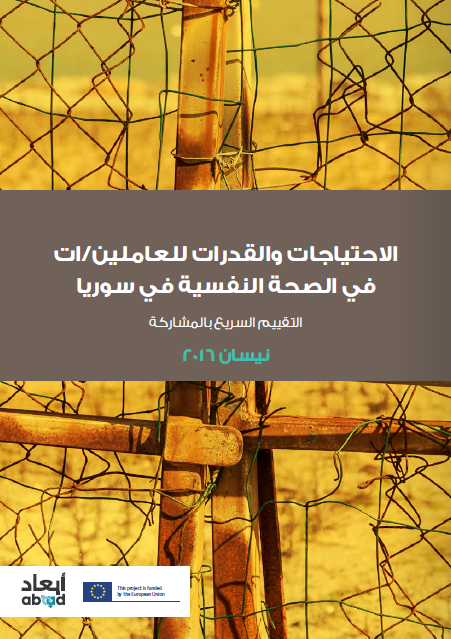 The qualitative assessment collected information from Syrian specialists providing direct services to local communities in 13 governorates, and captures both, community perceptions and service provider attitudes and practices. 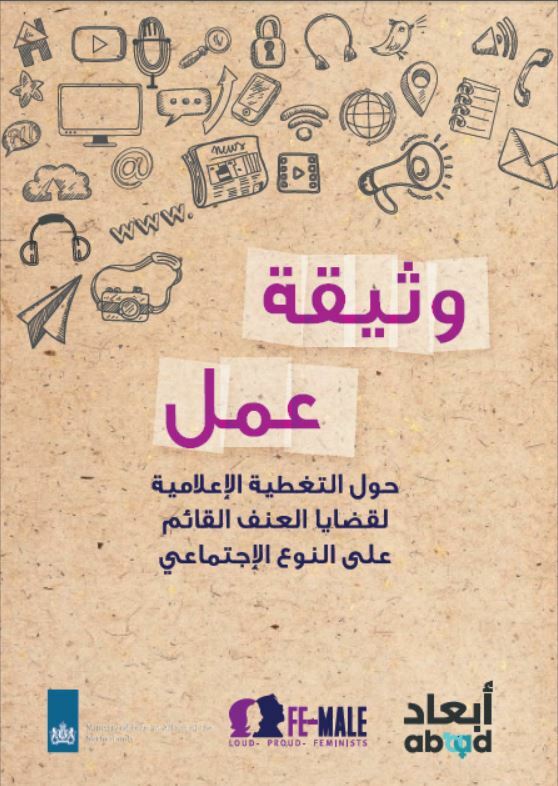 وثيقة حول أبرز نتائج، إنجازات وتحديات برنامج »إمكان: المساحات اآلمنة للنساء ّ والفتيات المعرضات لإلساءة« وتوثيق لبعض الممارسات الناجحة في البرنامج وشهادات المستفيدين/ات من خدماته. 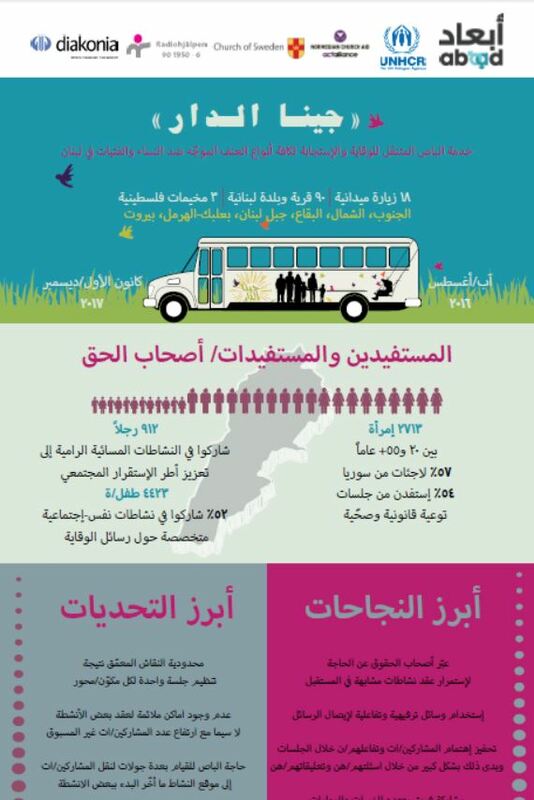 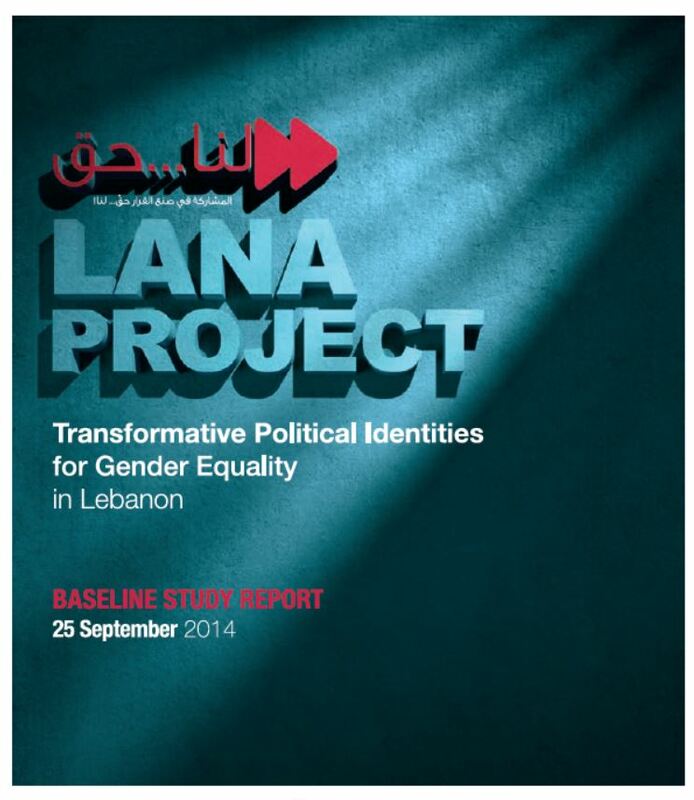 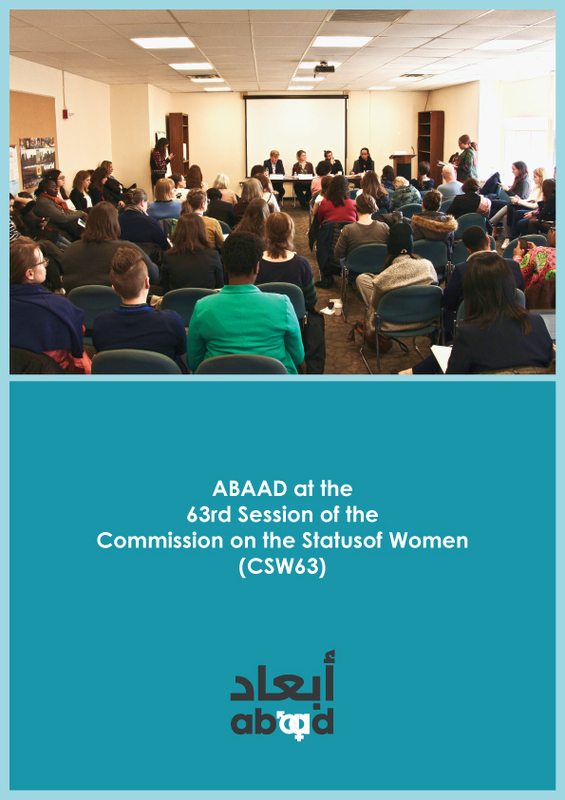 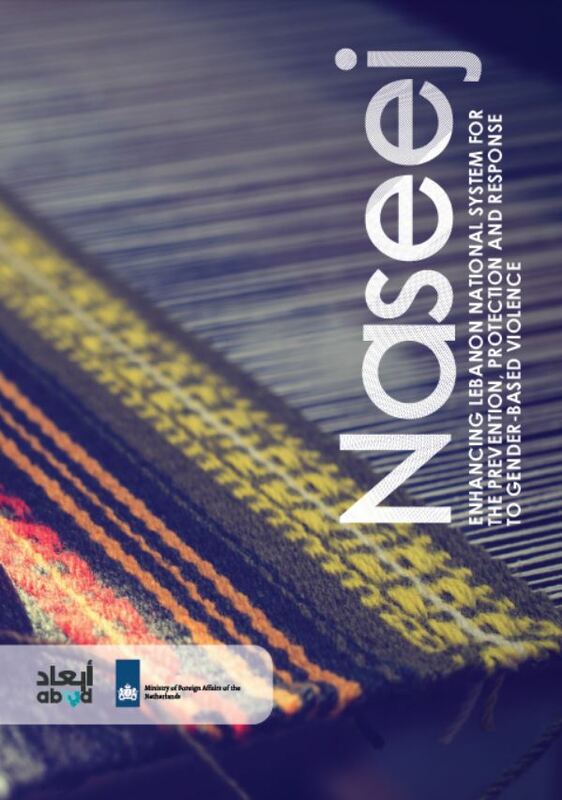 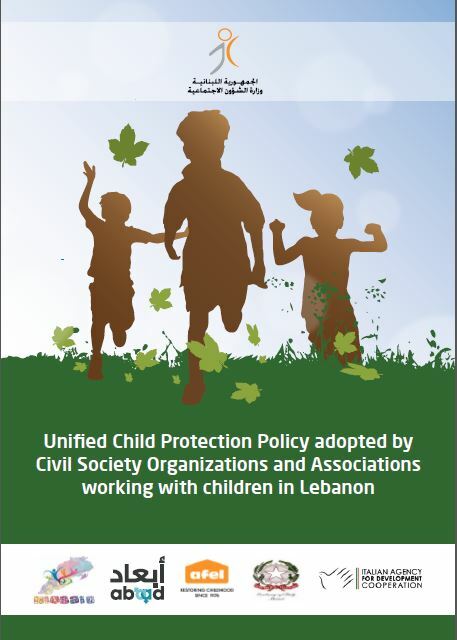 Enhancing Lebanon National System for the Prevention, Protection, and Response to Gender-Based Violence. 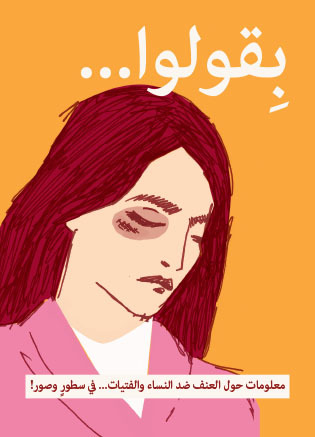 Survivors are entitled to know their rights before, during and after the investigation. 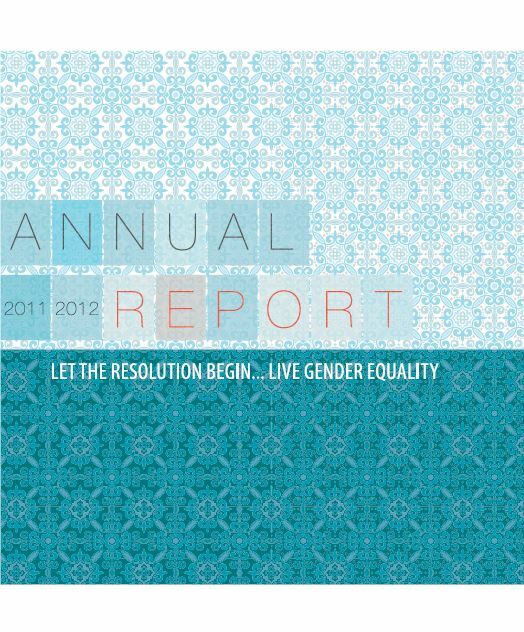 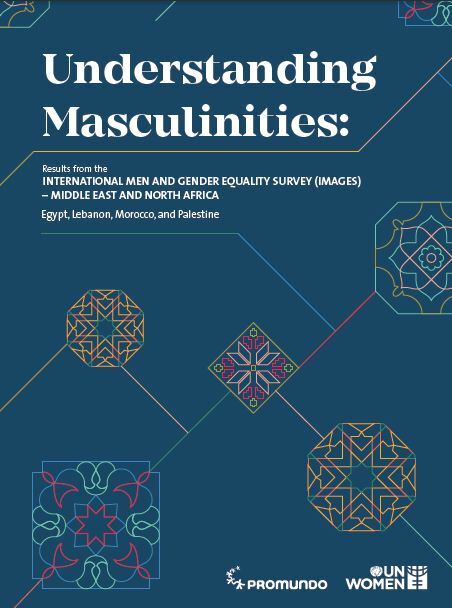 Results from the International Survey on Men and Gender Equality in the Middle East and North Africa. 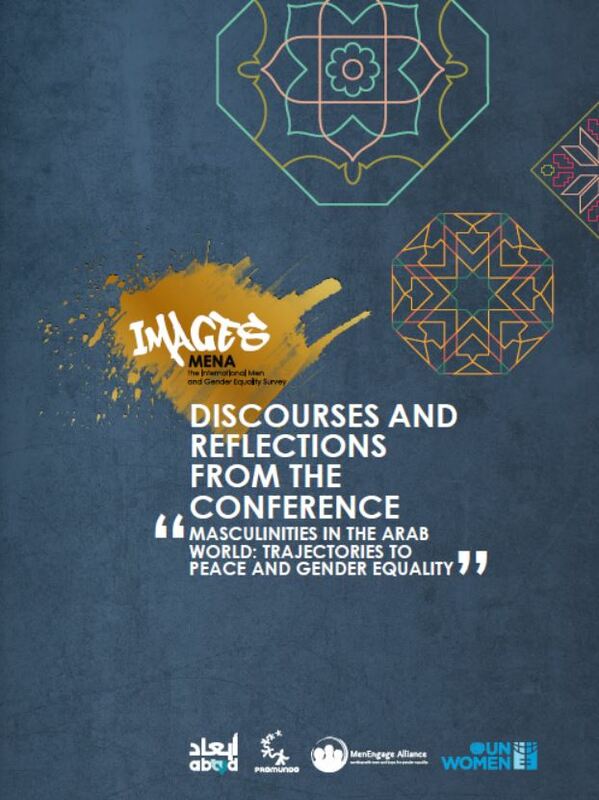 Egypt, Lebanon, Morocco, and Palestine. 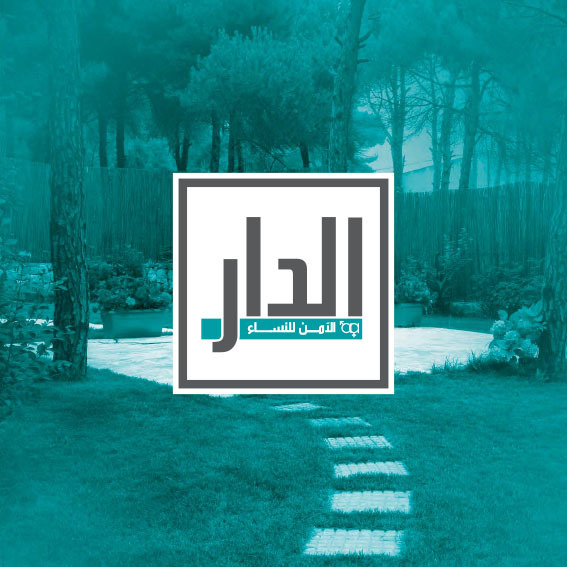 President Michel Aoun unveiled monument, by ABAAD, dedicated to the victims of domestic violence in Lebanon. 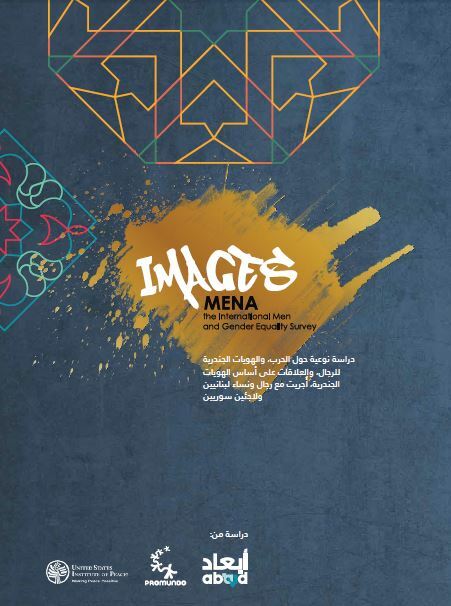 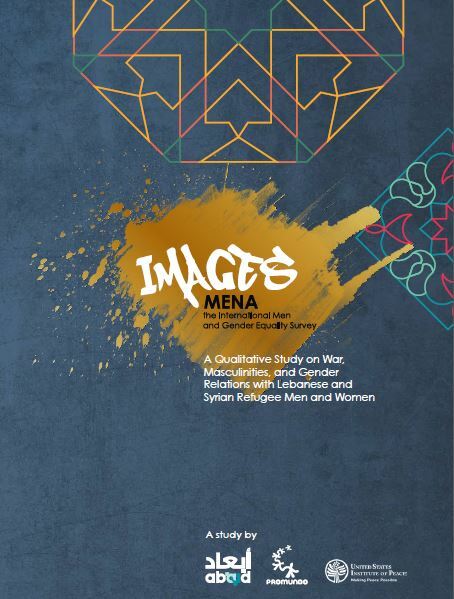 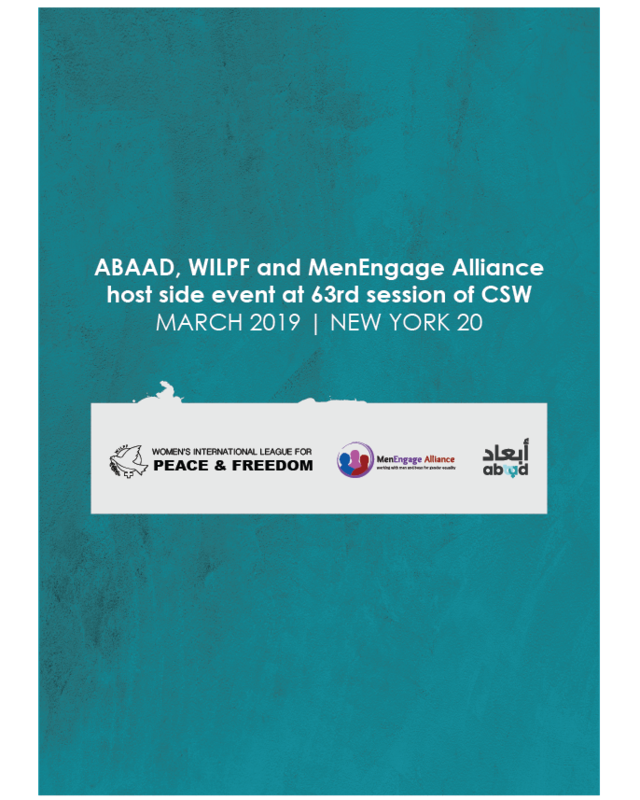 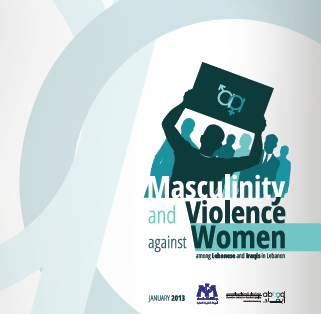 DISCOURSES AND REFLECTIONS FROM THE CONFERENCE: "MASCULINITIES IN THE ARAB WORLD: TRAJECTORIES TO PEACE AND GENDER EQUALITY"
A Mental Health and Psychosocial Support (MHPSS) Training Pack for MHPSS personnel working in emergency settings. 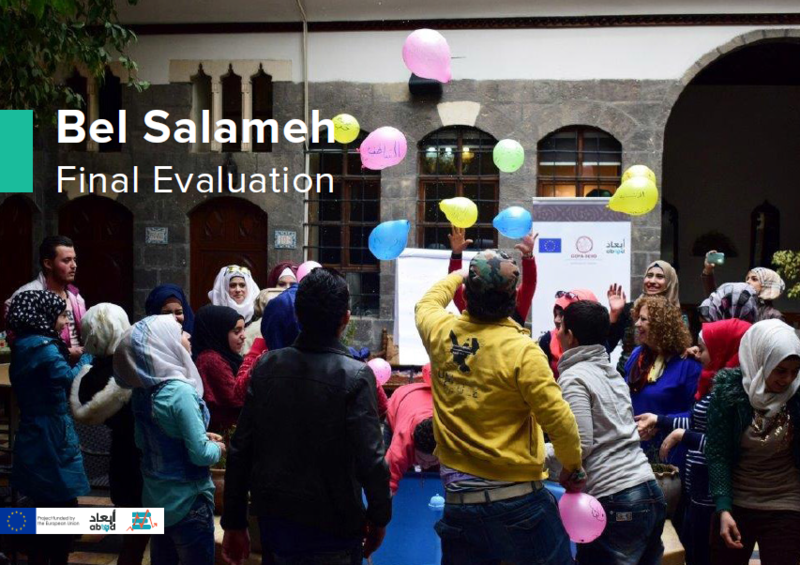 Final external evaluation covering the full project implementation period spanning from April 1, 2015, until March 31, 2017. 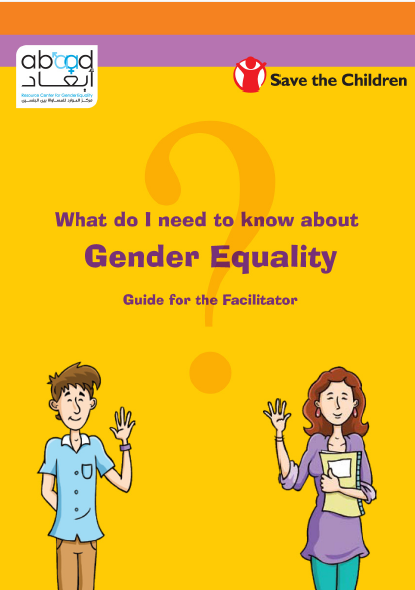 What do I need to know about Gender Equality? 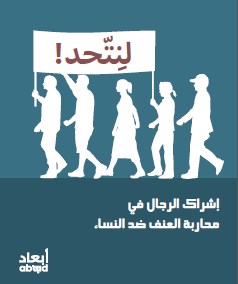 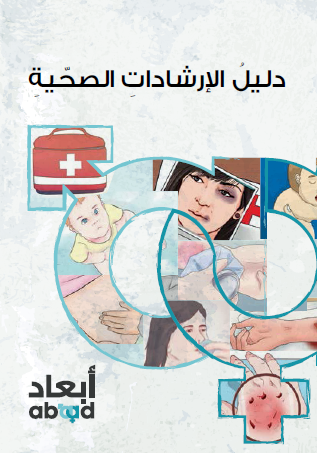 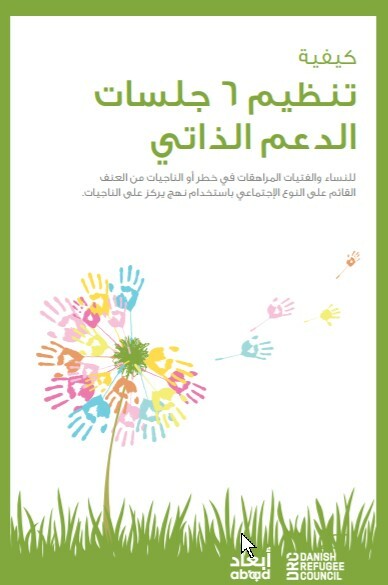 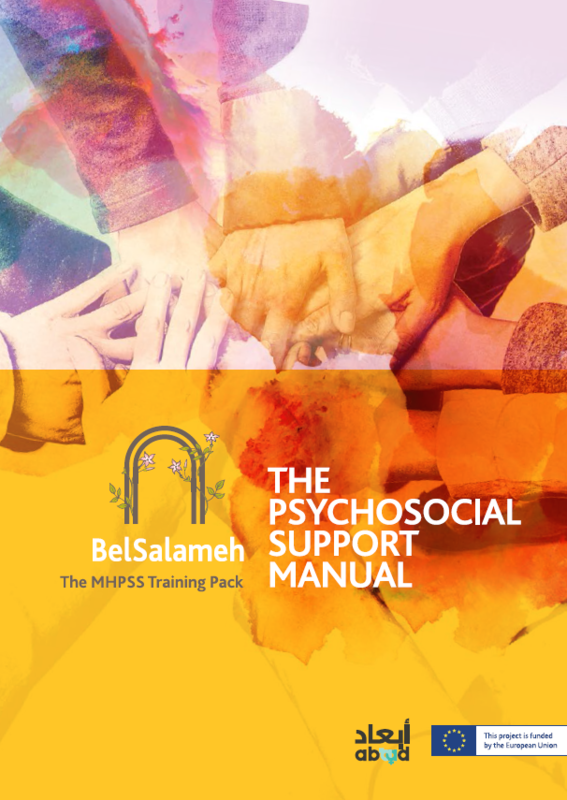 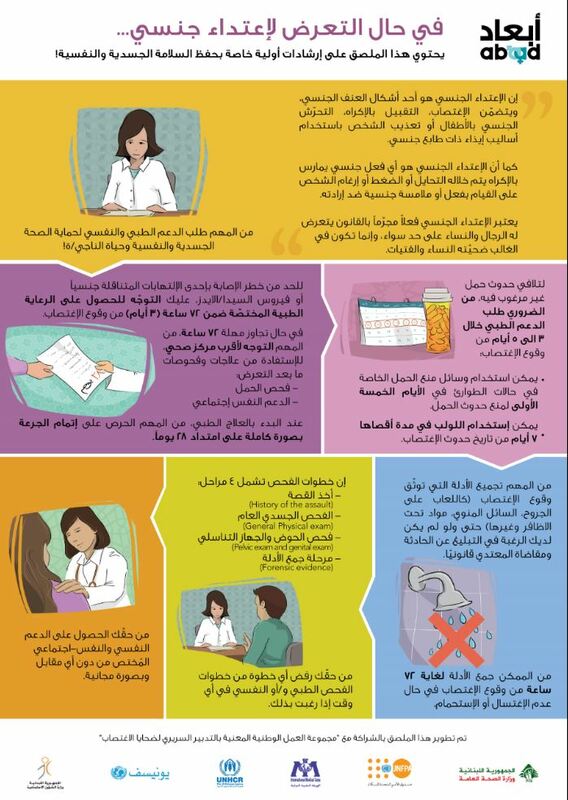 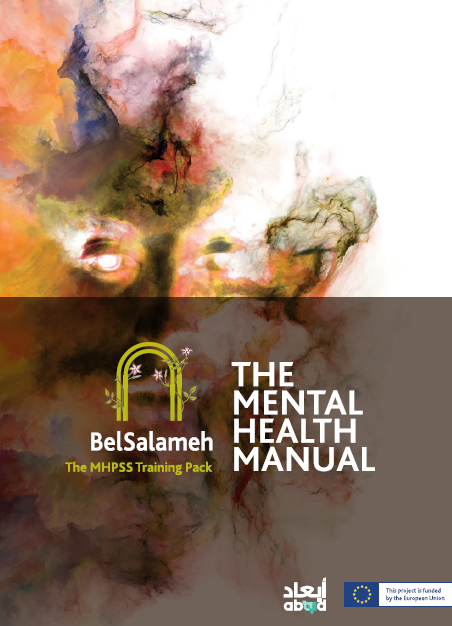 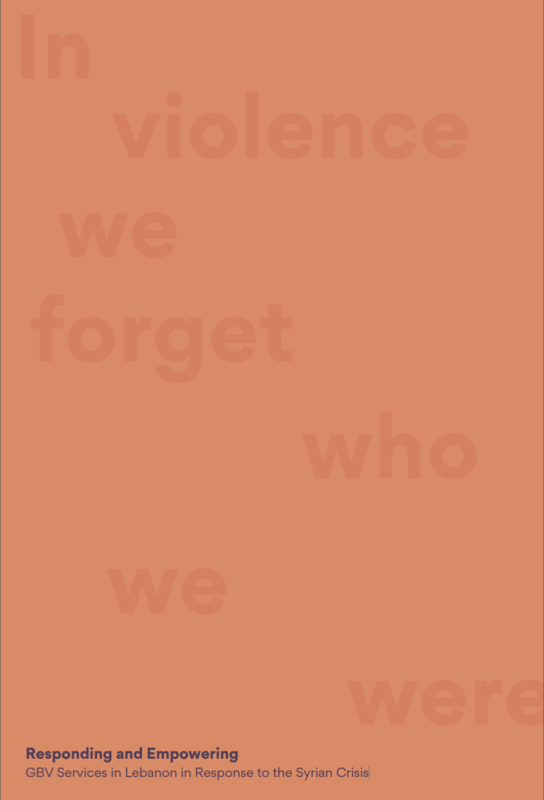 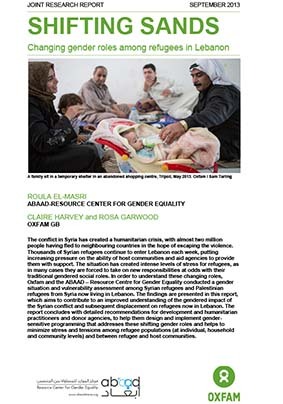 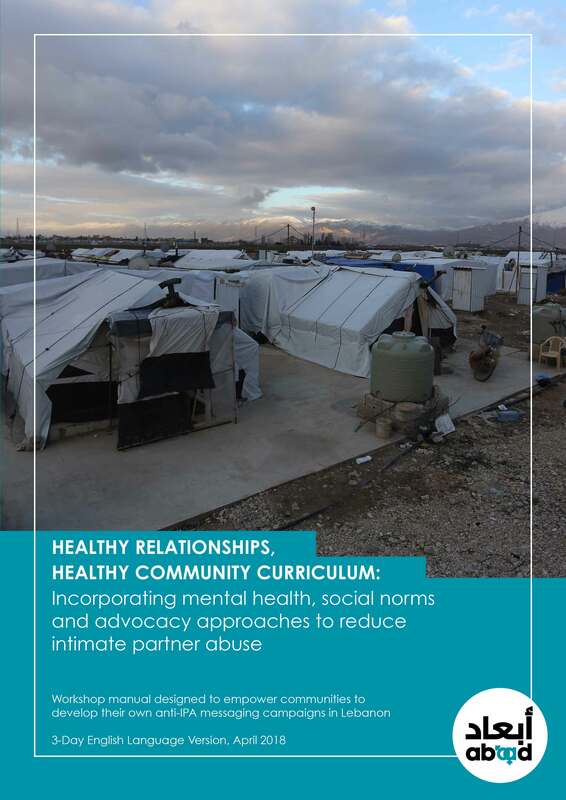 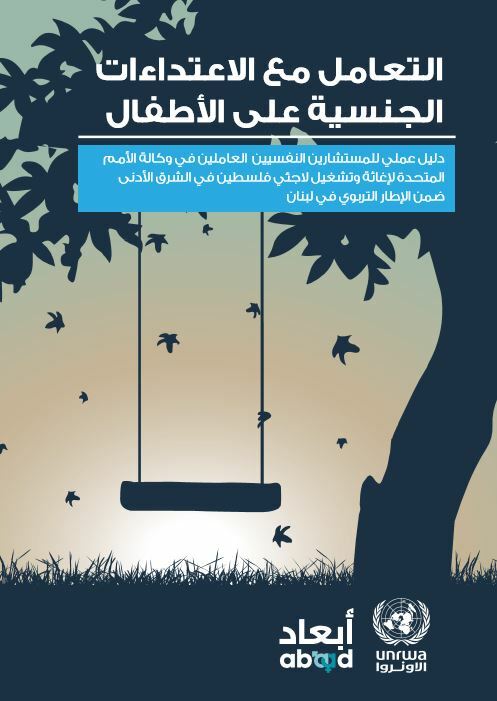 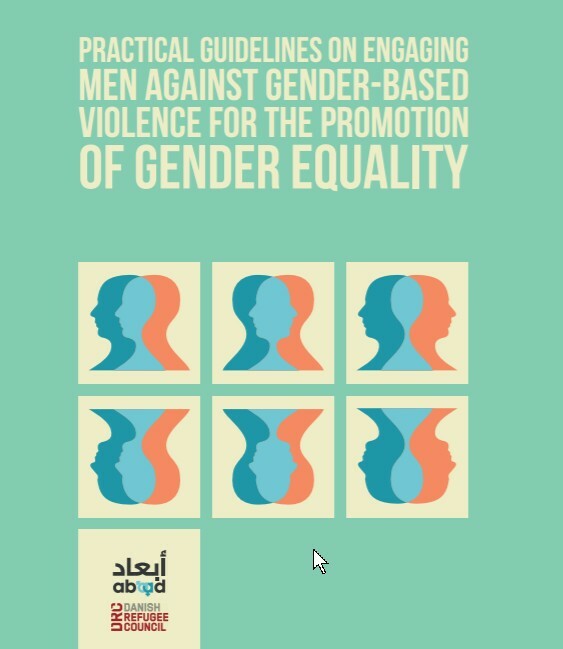 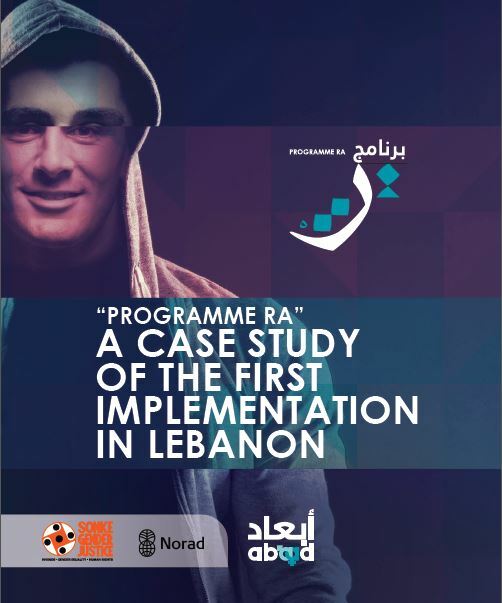 This manual is part of a pilot project on engaging men among the Syrian and Lebanese communities for them to understand and become active partners in managing their own stress and anger, as a primary means of preventing and responding to gender-based violence. 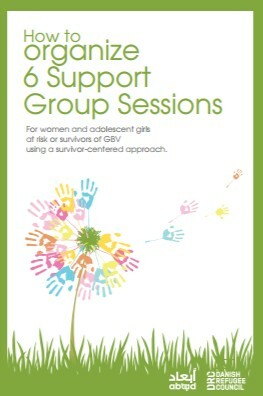 How to organize six support group sessions? 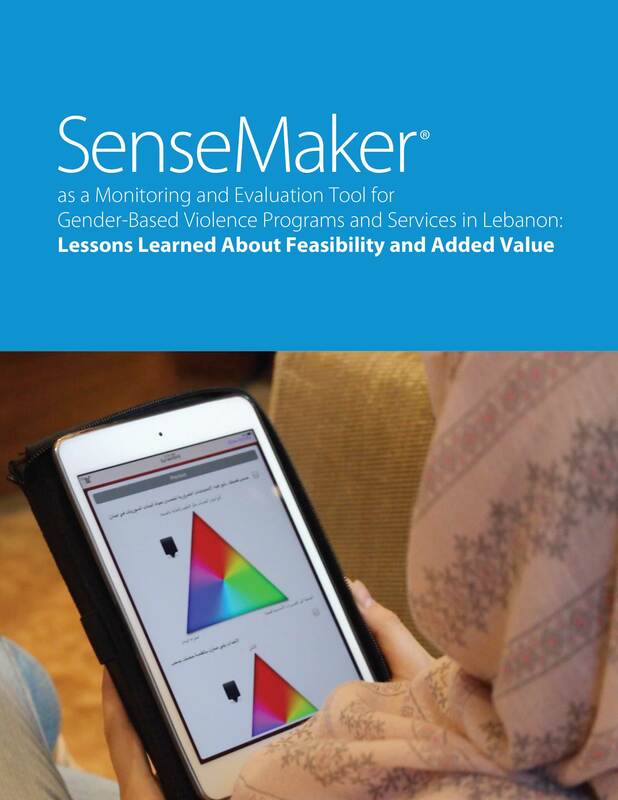 For women and adolescent girls at risk or survivors of GBV using a survivor-centered approach. 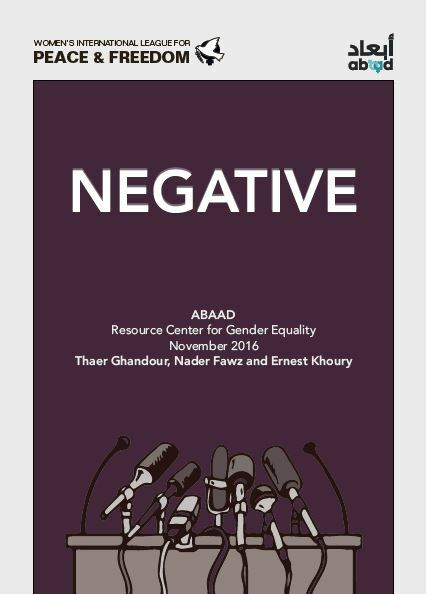 The outcome of this study will help provide concerned parties with substantial information to assess the core of the problem and its stimulus; both considered unclear to this day. 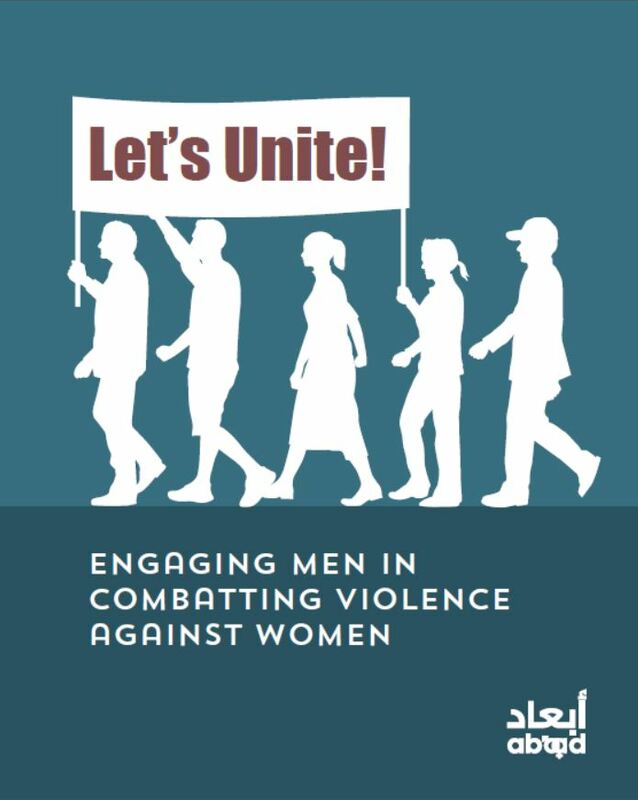 Knowing what triggers violent behavior can help the prevention of future similar incidents and the development of further strategies to solve this problem. 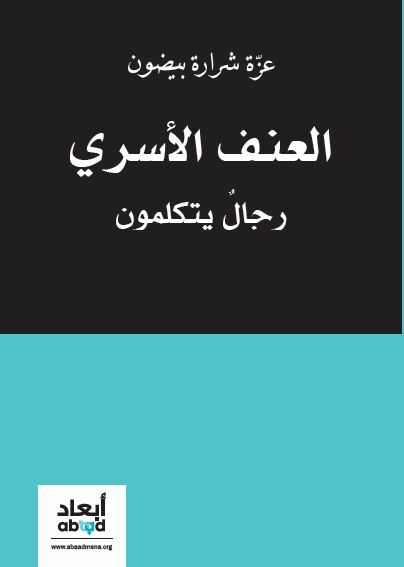 ما هو الإكتئاب...؟هو تغير ملحوظ في المزاج وسيطرة مشاعر الحزن والألم النفسي على الفرد. 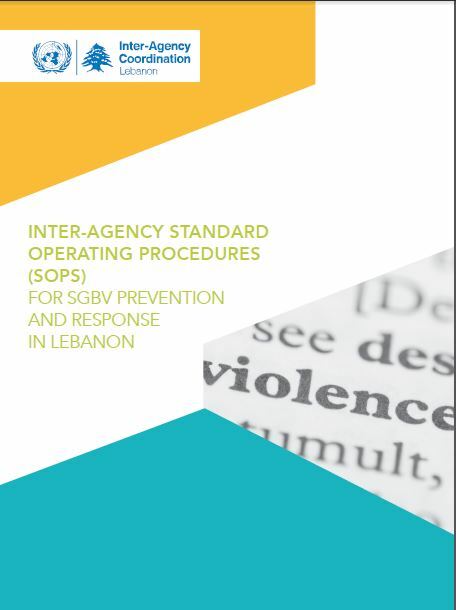 The SOPs describe guiding principles, procedures, roles, and responsibilities for actors involved in the prevention of and response to SGBV in Lebanon within the framework of the Lebanon Crisis Response Plan. 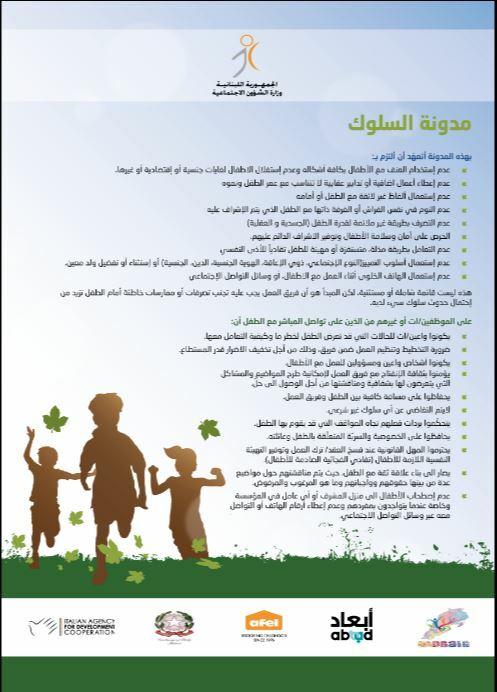 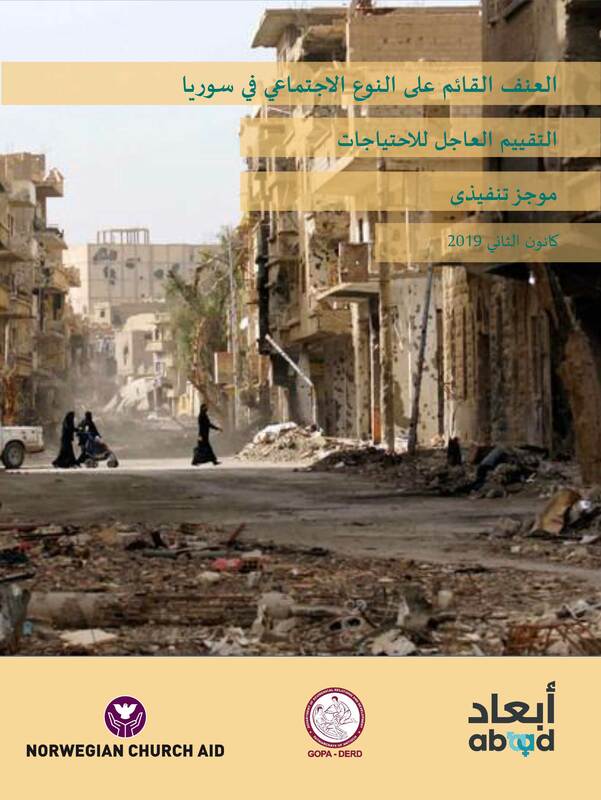 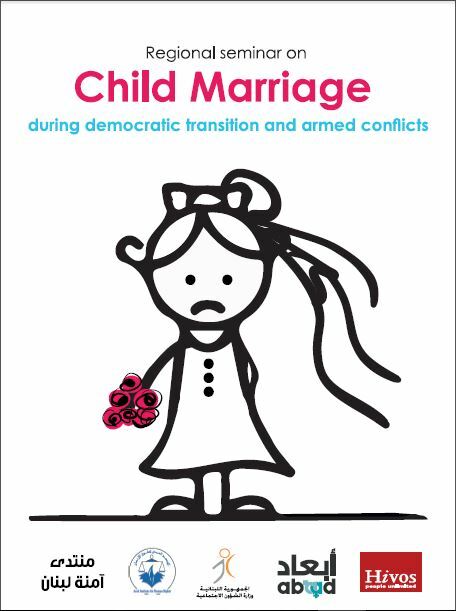 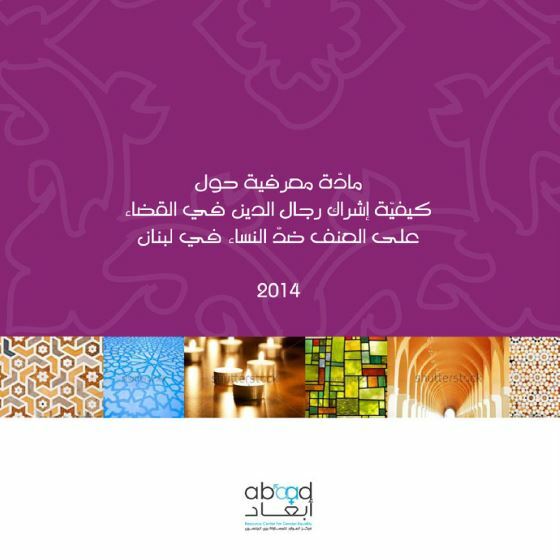 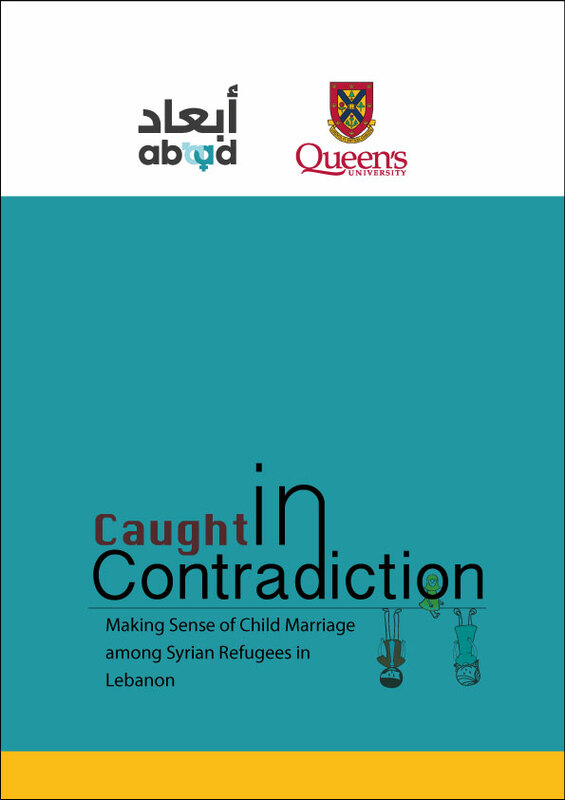 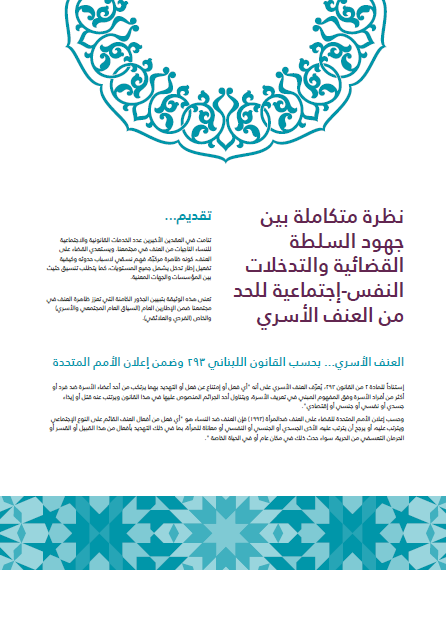 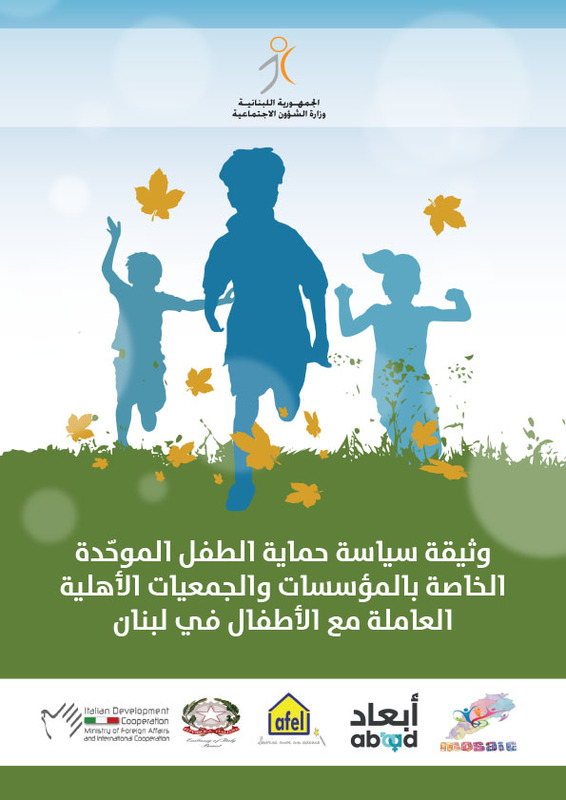 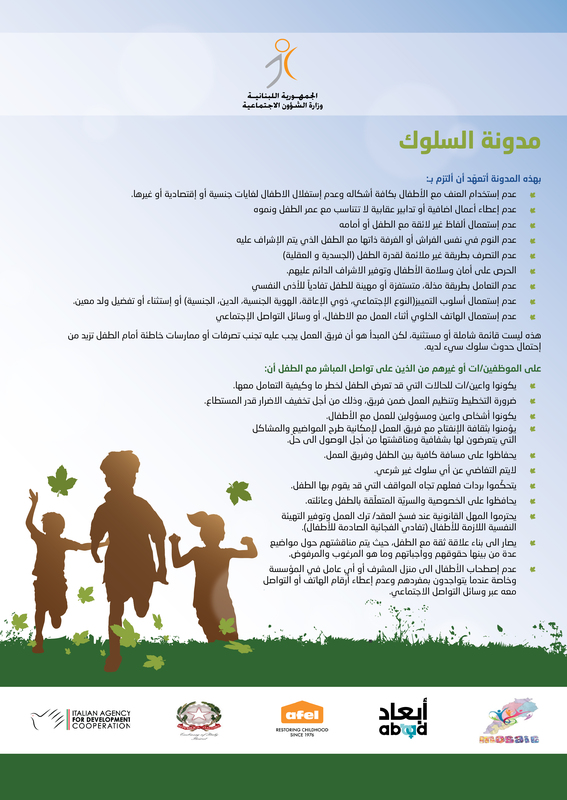 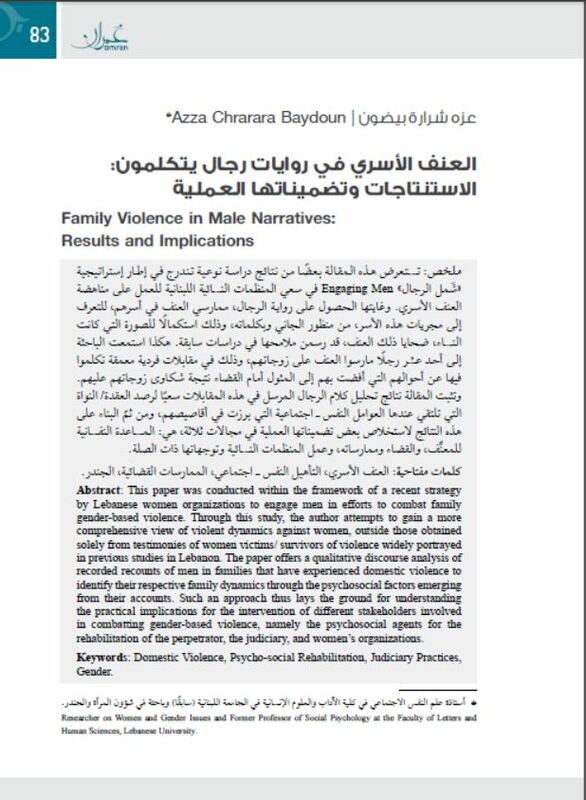 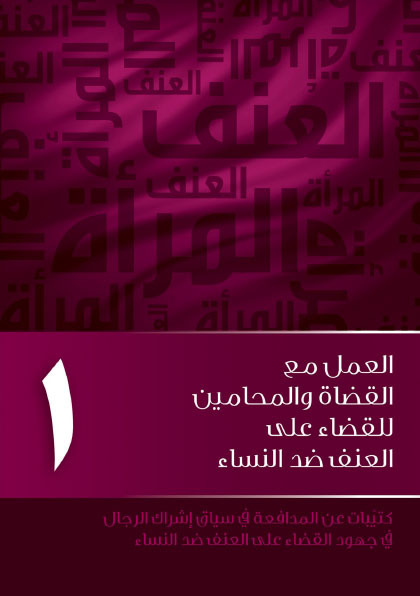 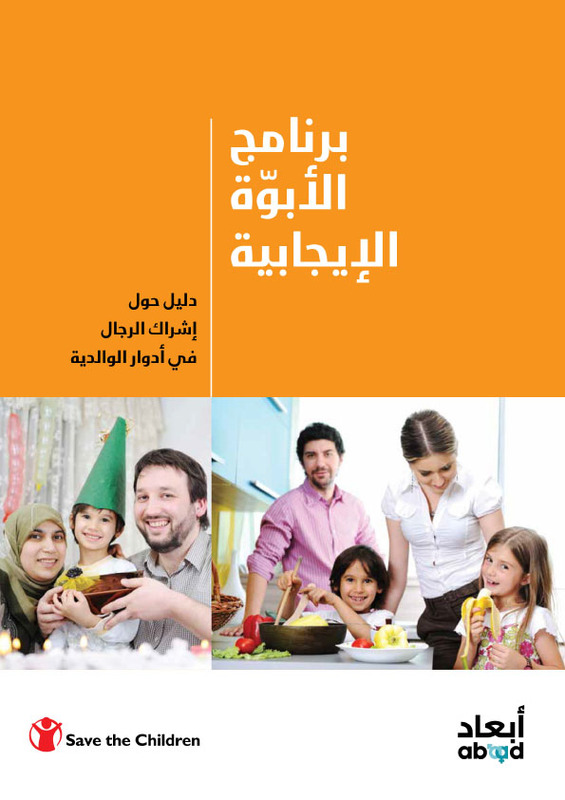 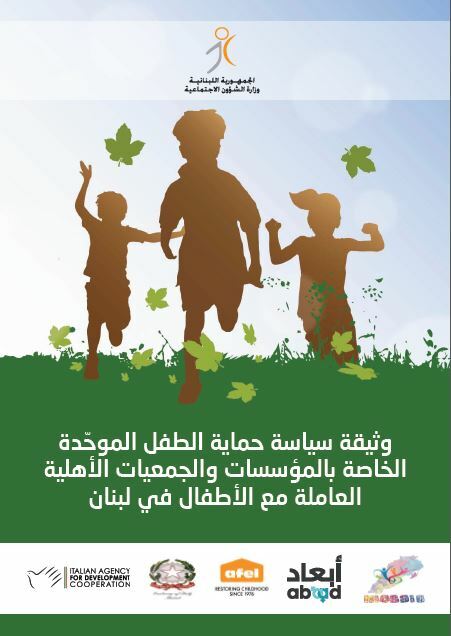 This booklet comprises of the presentations and papers that were presented and discussed during the seminar that was held in Beirut in October 2015, titled “Regional Seminar on ChildMarriage during democratic transition and armed conflicts”, and which was presented by experts from Egypt, Lebanon, Tunis, Yemen and Palestine on Child Marriage and its cultural and health consequences. 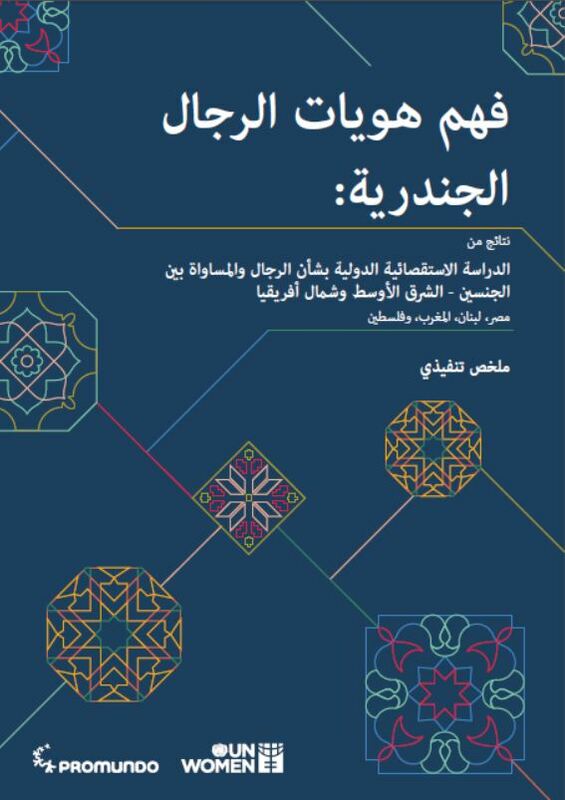 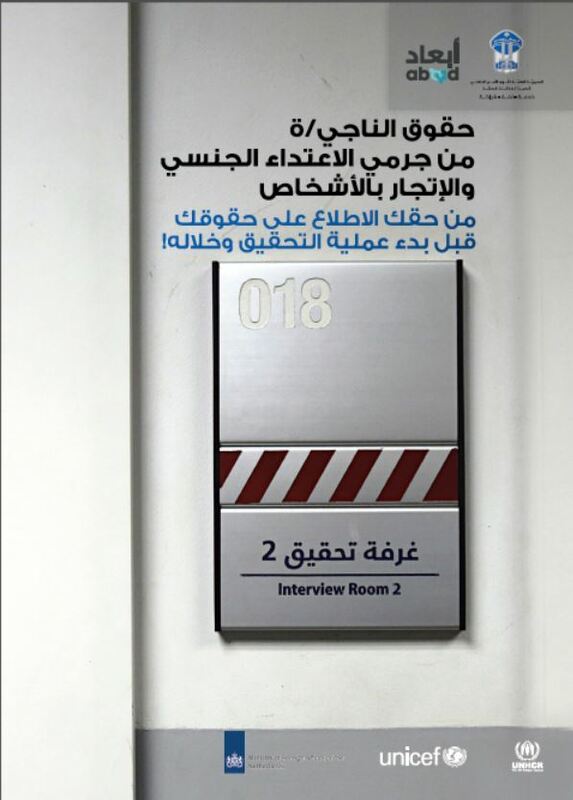 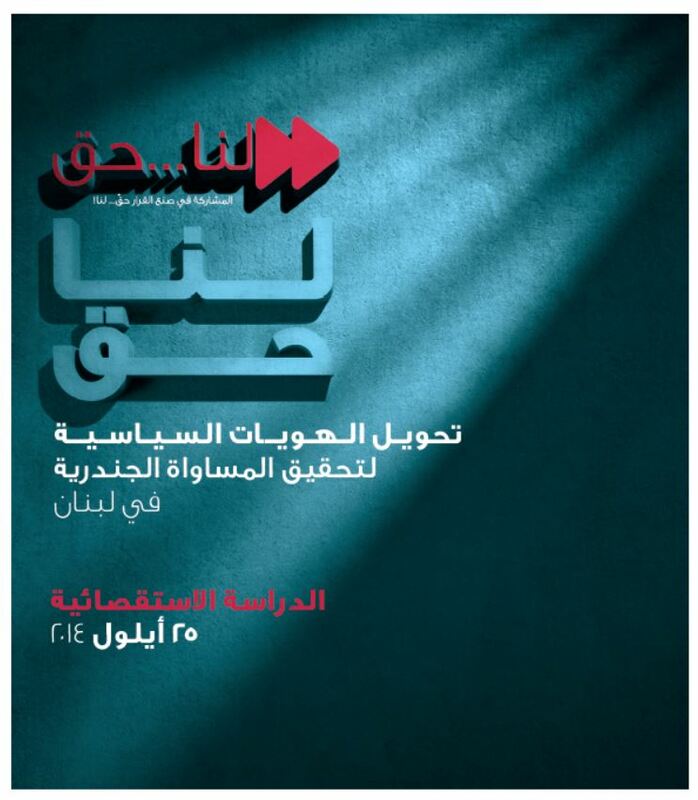 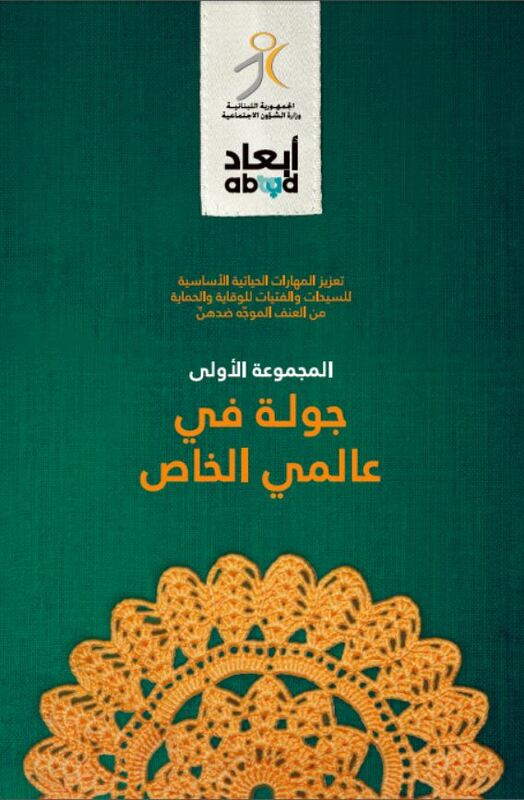 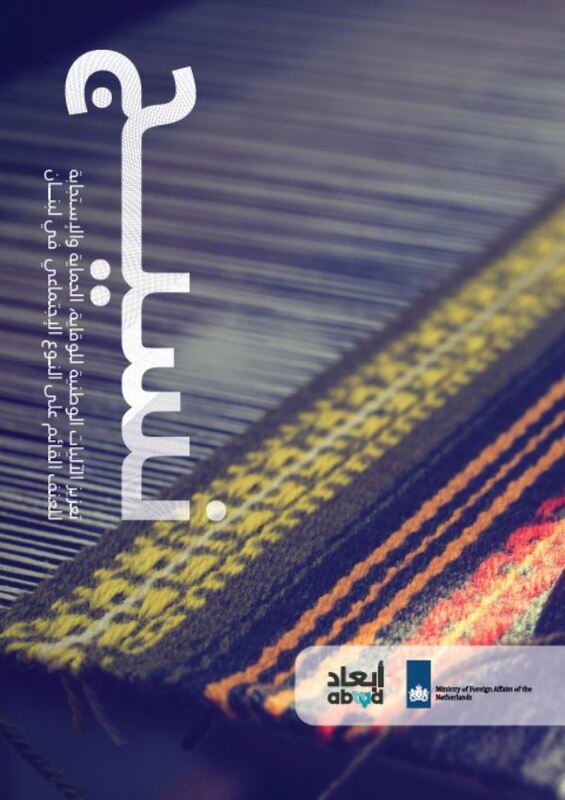 جدول مقارنة بين النص القديم للفصل الأول من الباب السابع من الكتاب الثاني لقانون العقوبات اللبناني وبين تعديل لجنة الإدارة والعدل. 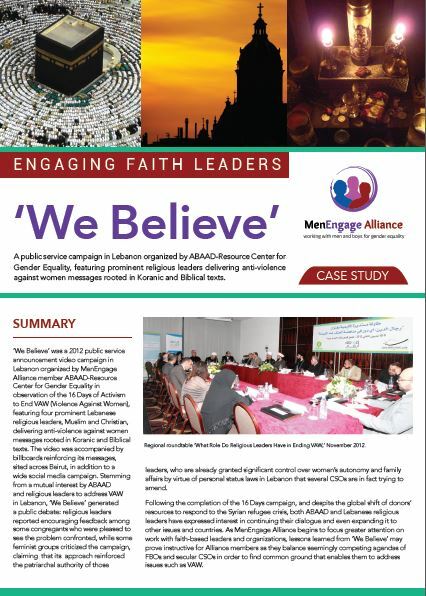 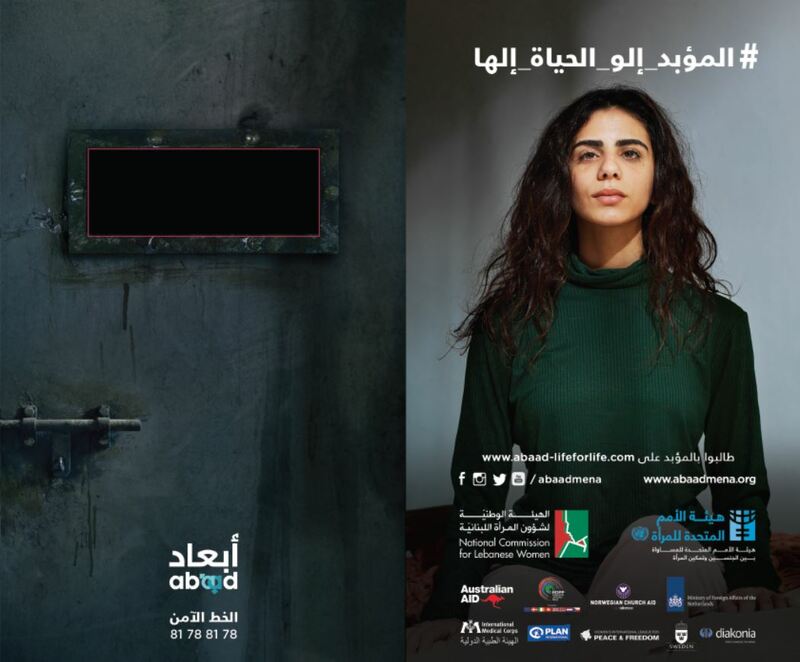 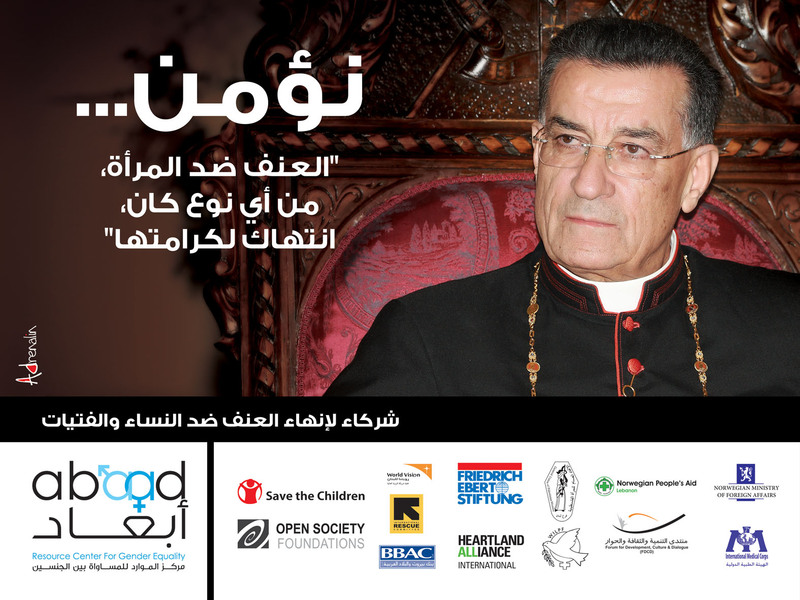 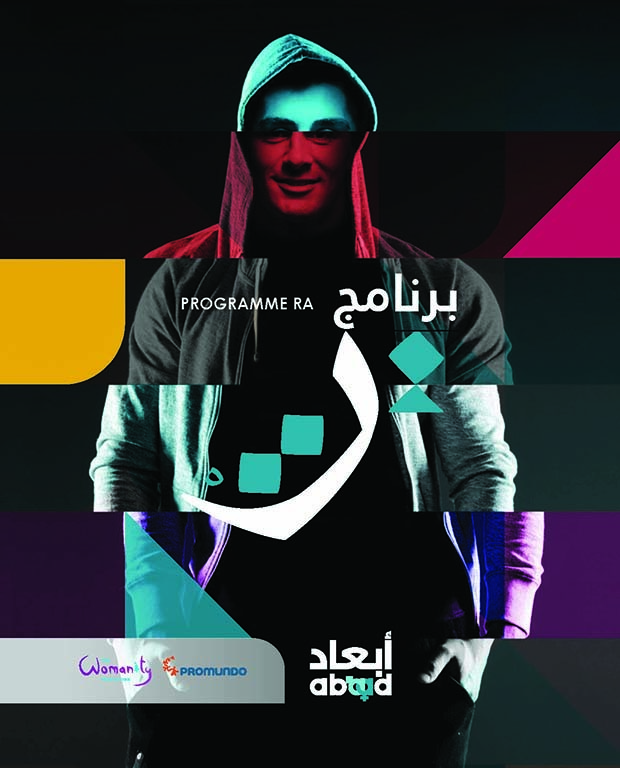 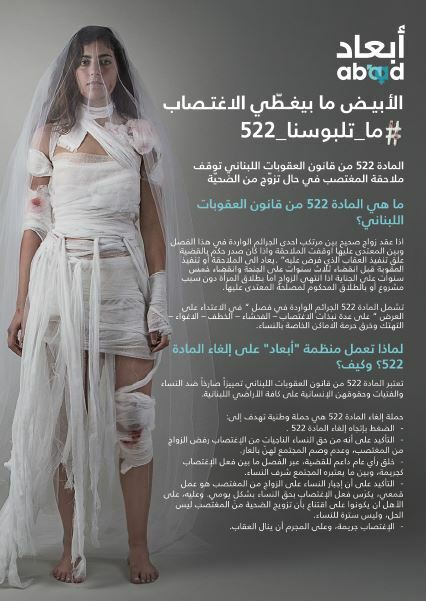 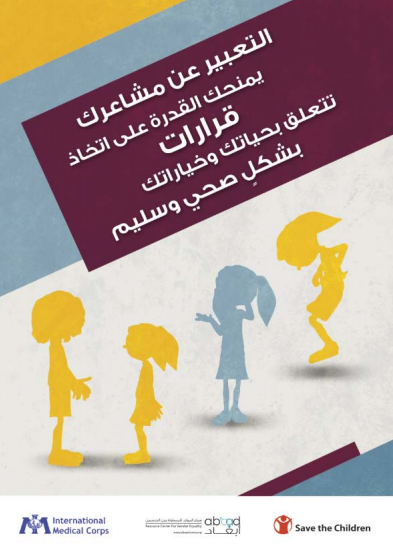 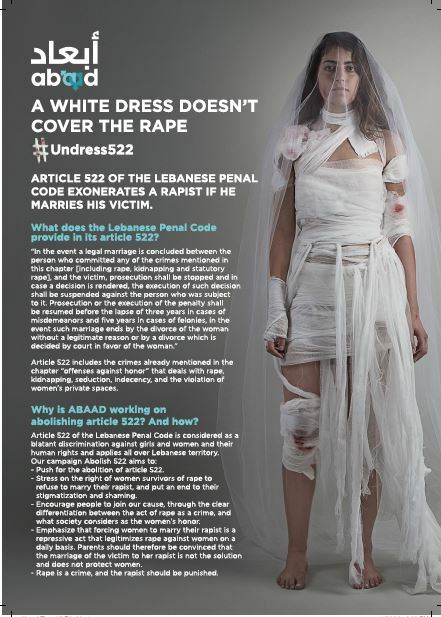 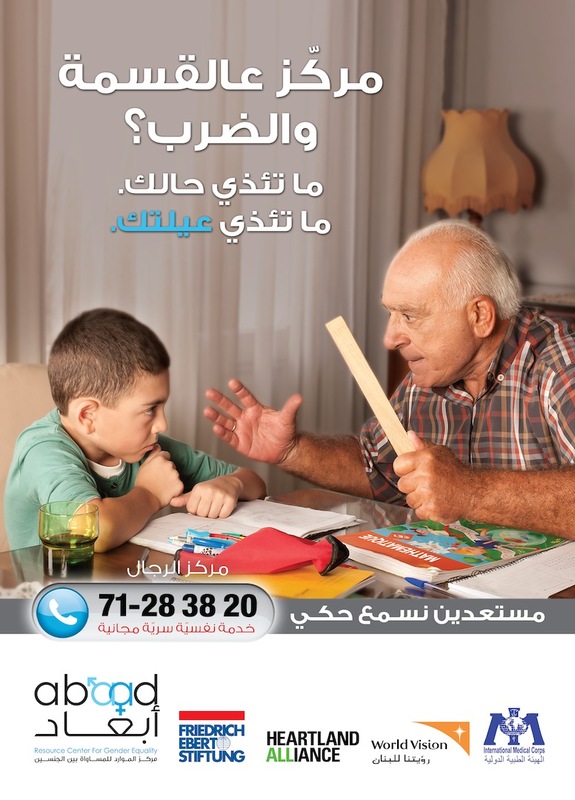 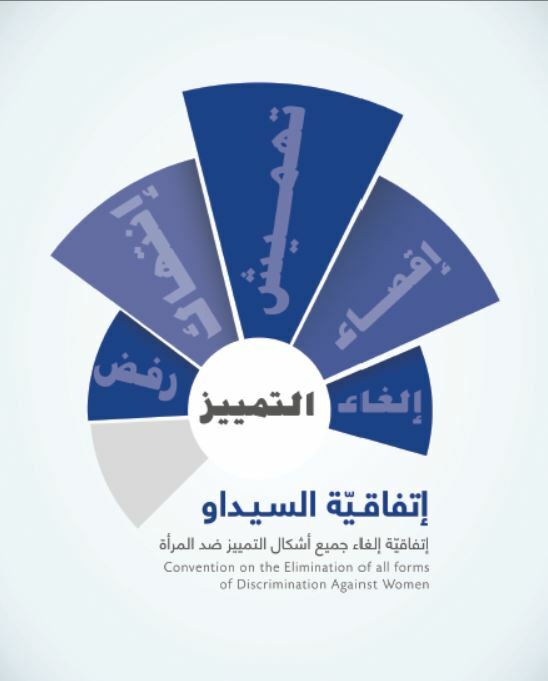 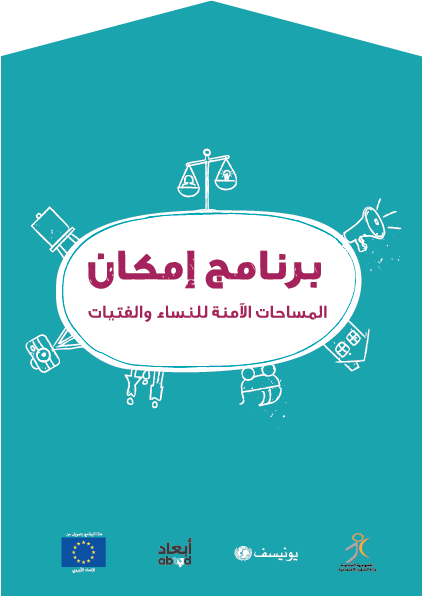 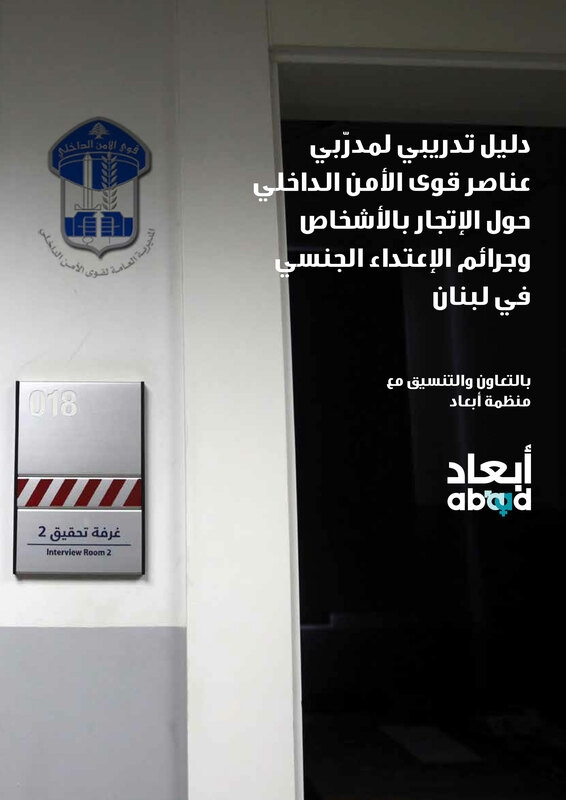 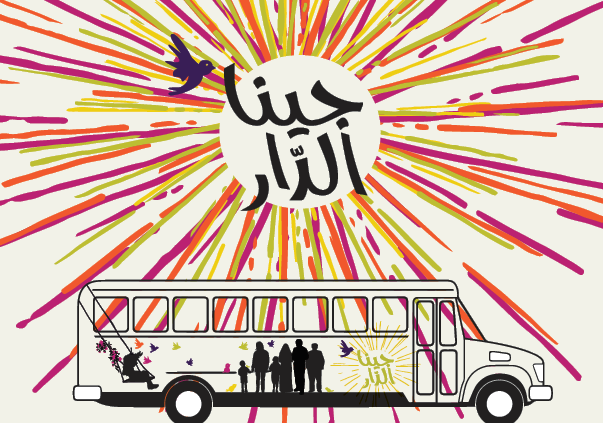 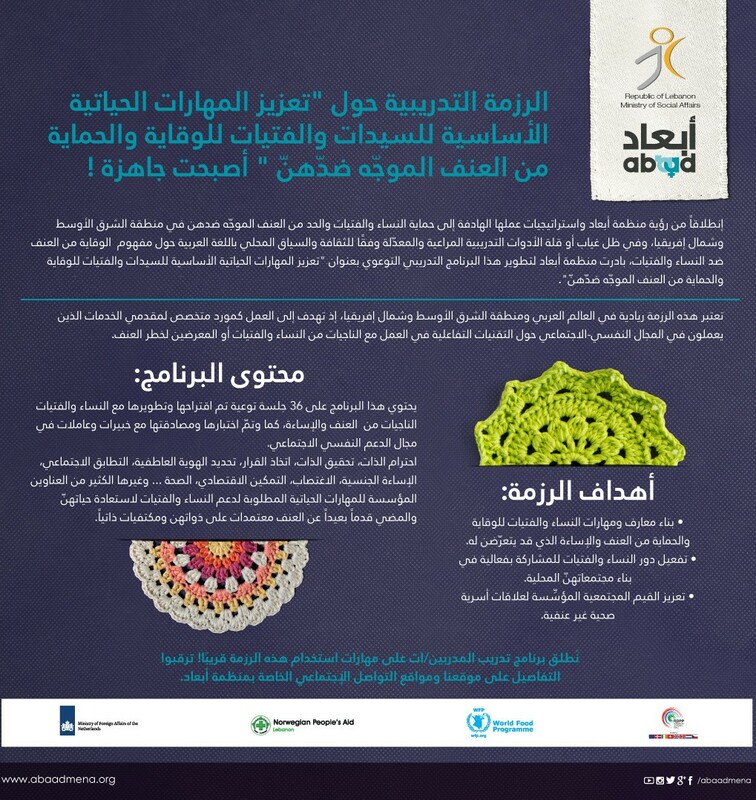 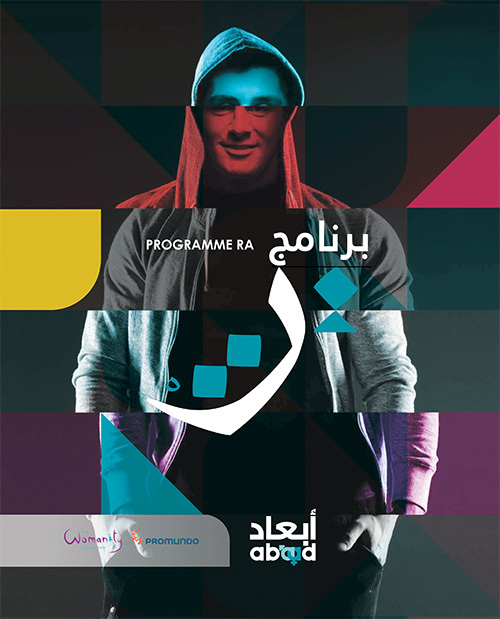 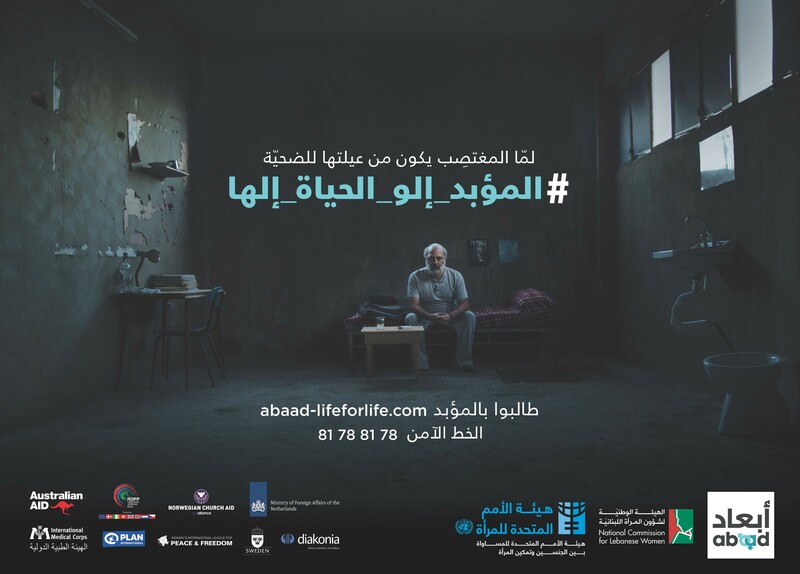 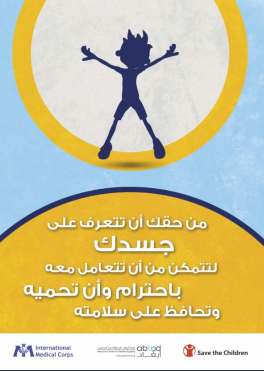 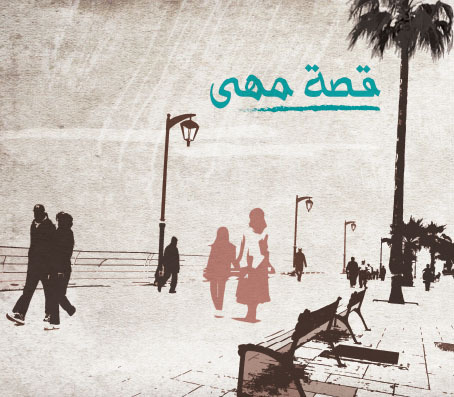 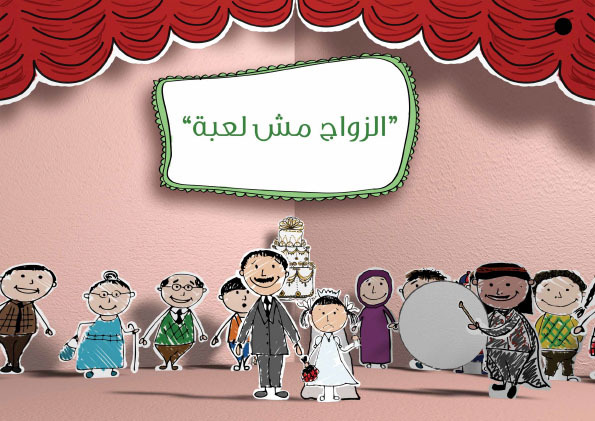 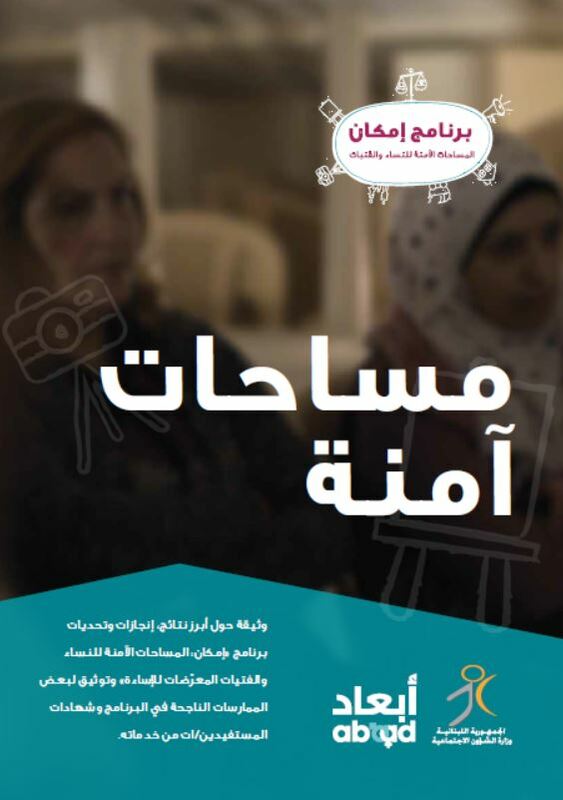 A public service campaign in Lebanon organized by ABAAD-Resource Center for Gender Equality, featuring prominent religious leaders delivering anti-violence against women messages rooted in Koranic and Biblical texts. 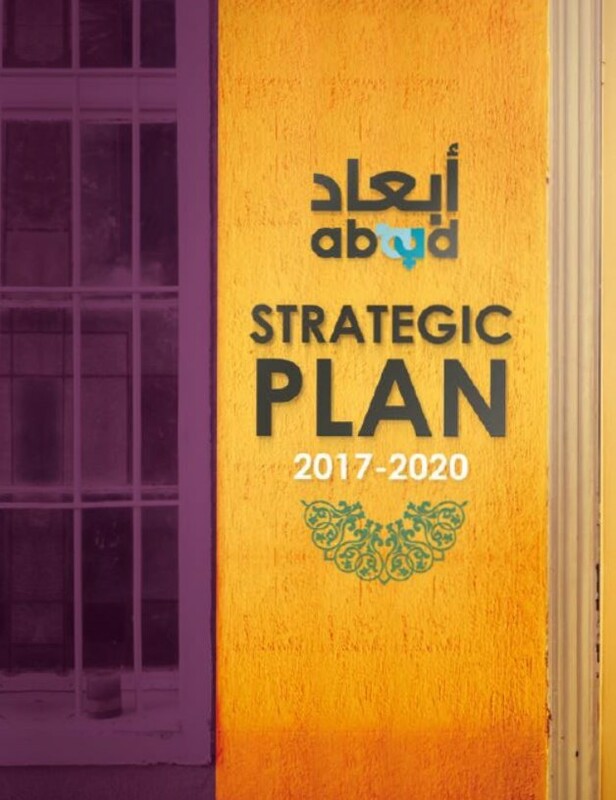 بوستر ترويجي لحملة الحياة الها! 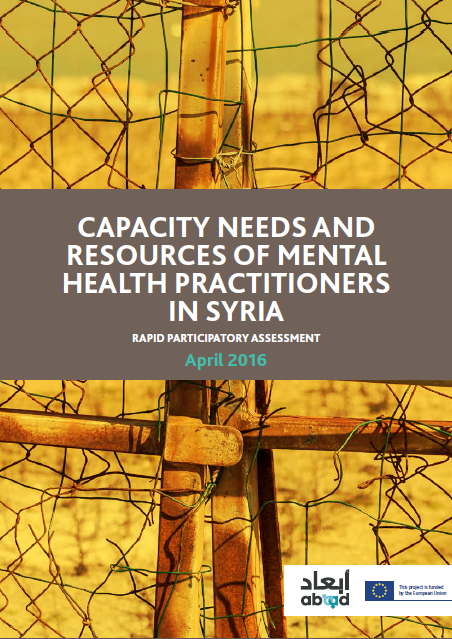 The Capacity Needs and Resources of MH Practitioners in Syria Rapid Participatory Assessment combined the qualitative and quantitative methodology to complement data collection and to enrich the study findings. The “Self-Care Needs and Resources of MHPSS Workers in Syria Rapid Participatory Assessment” combined qualitative and quantitative research methods to complement data collection and to enrich the study findings. 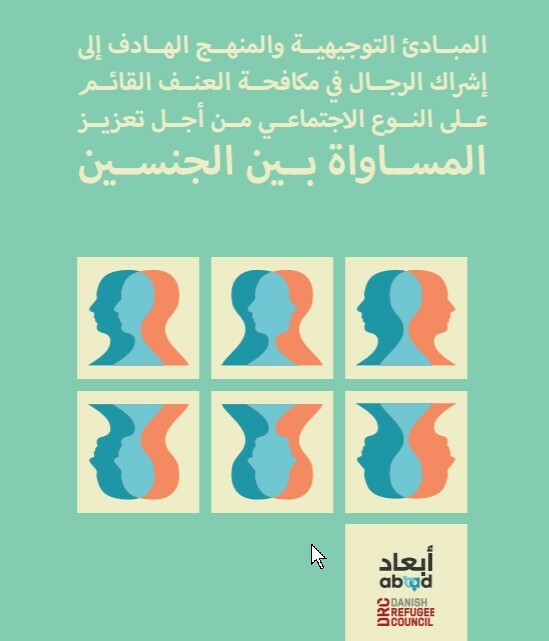 العنف ضد المرأة من اي نوع كان، انتهاك لكرامتها! 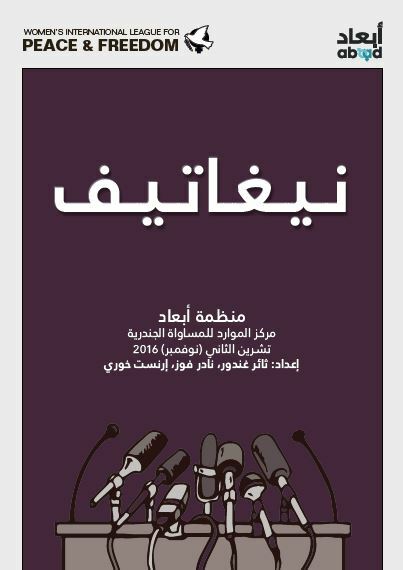 للمرأة السورية في لبنان...كرامة، رعاية، حماية! 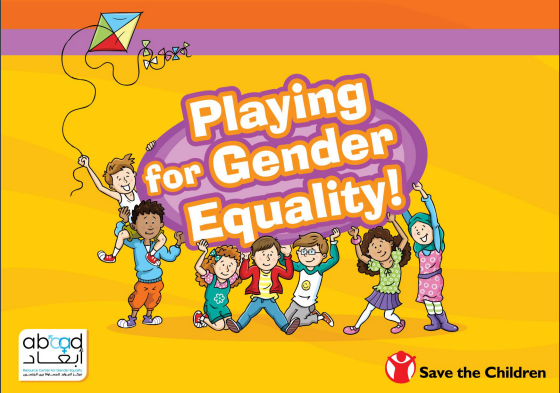 This workbook was developed to begin teaching young children and adolescents about the concepts of Gender Equality. 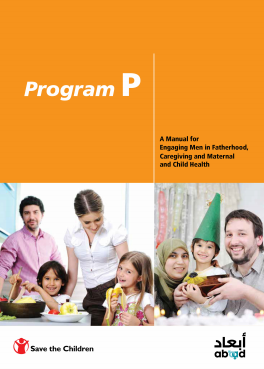 Through the fun, interactive, and educational exercises found within this workbook, we hope to reach these individuals at an important period of their lives. 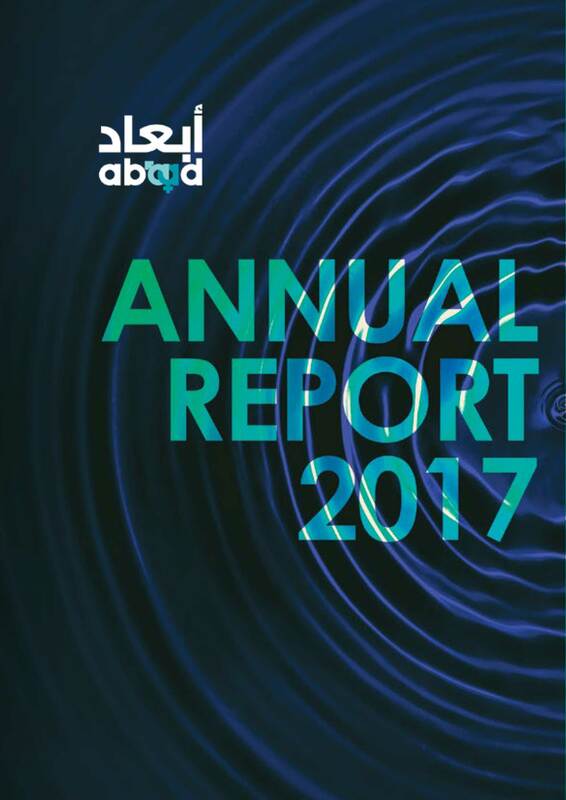 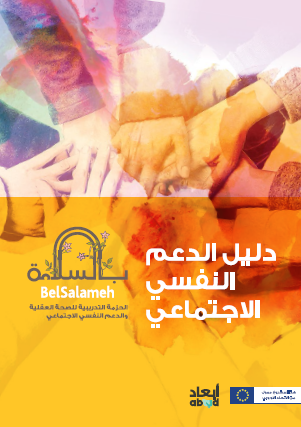 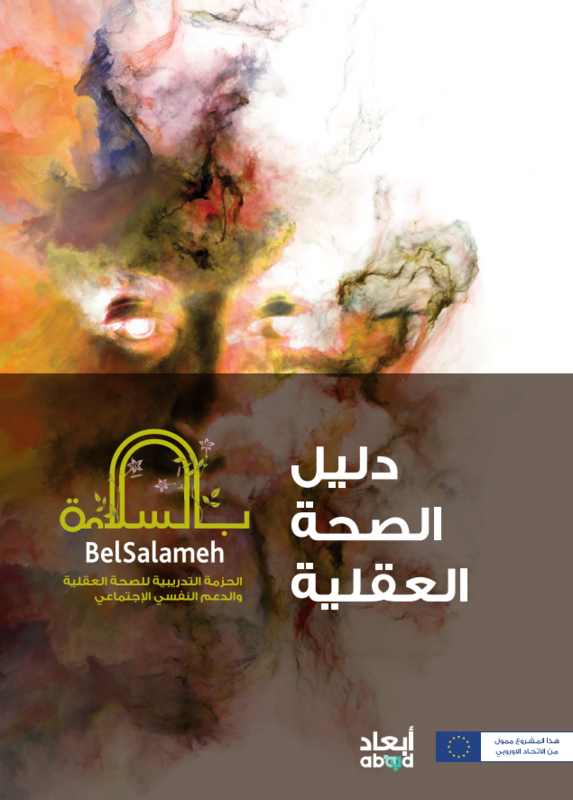 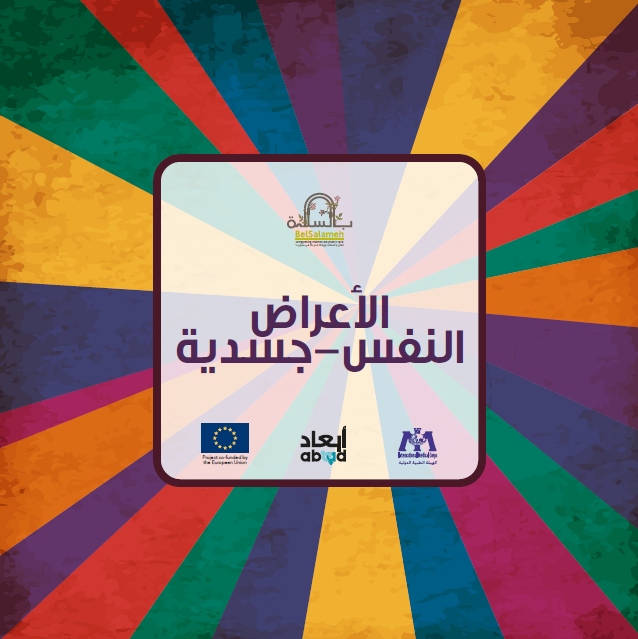 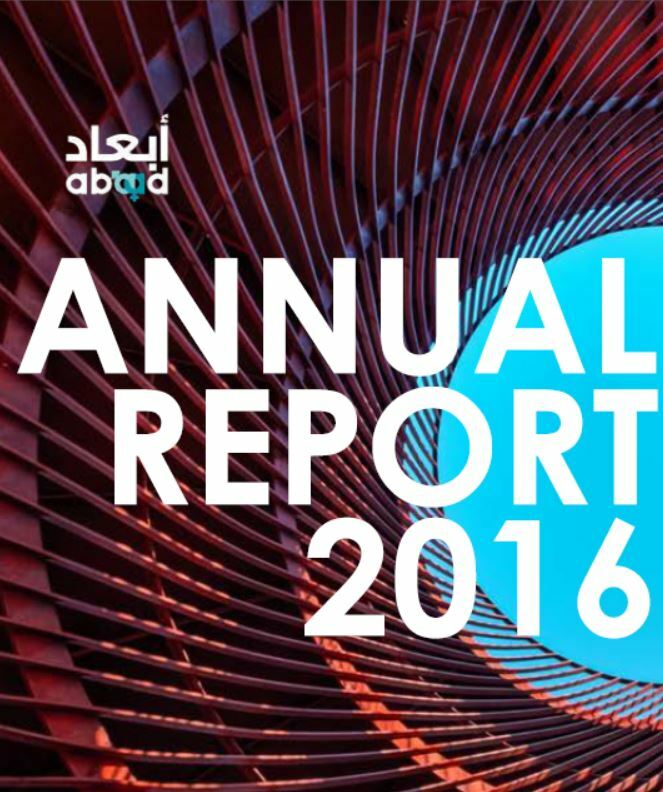 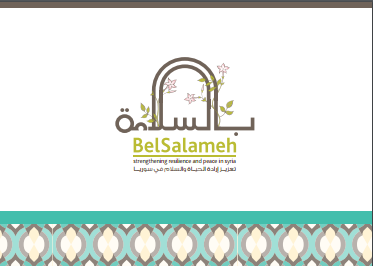 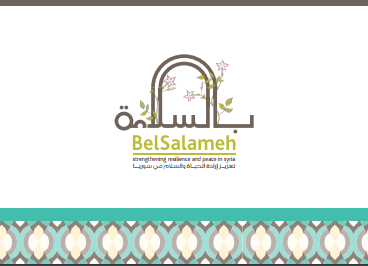 “Bel Salameh” ABAAD's project inside Syria, funded by the European Union, aims to support Syrian men and women in war-torn Syria to actively engage and contribute as citizens in rebuilding peace and resilience at the individual and social levels. 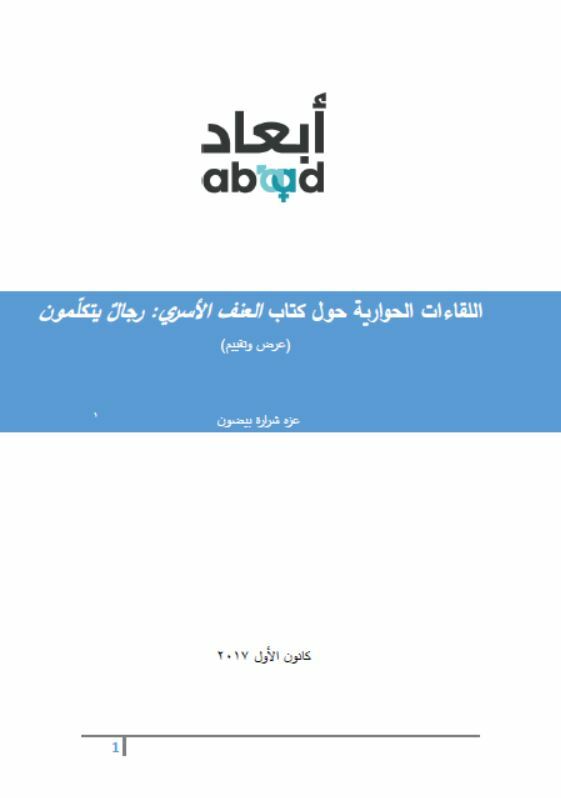 الدار هو منزل إنتقالي مؤقت، يتميز بكونه مجاني وآمن يتمتع ببيئة حاضنة وداعمة حيث يستقبل النساء المعرضات للخطر أو الناجيات من العنف القائم على النوع الإجتماعي سواًء الشابات والمراهقات أو النساء مع أطفالهن The Mid-way Transition House (Al Dar) is a free, safe, supportive temporary house for women at risk or survivors of Gender-Based Violence (GBV), both single women and teen adolescent girls, and women with their children. 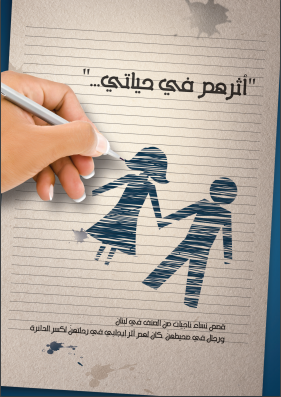 Put Your Hand With Hers, Not On Her! 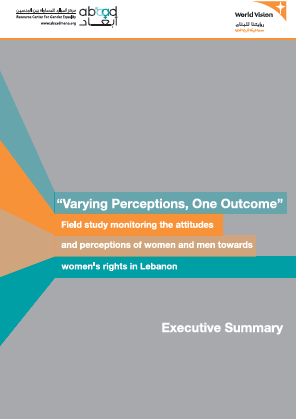 Syrian women and girls coming to Lebanon are at increased risk of multiple forms of violence due to generalized insecurity and limited access to support. 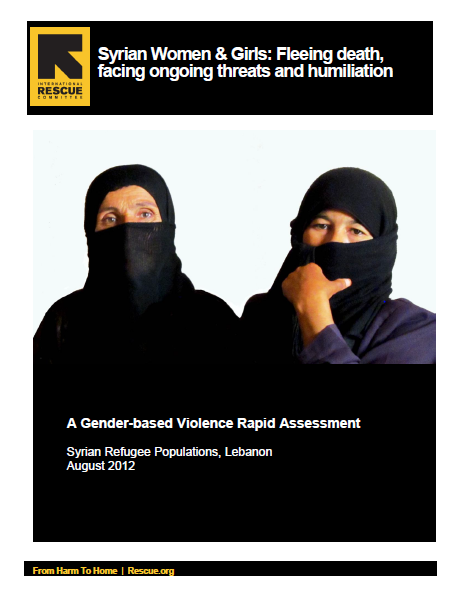 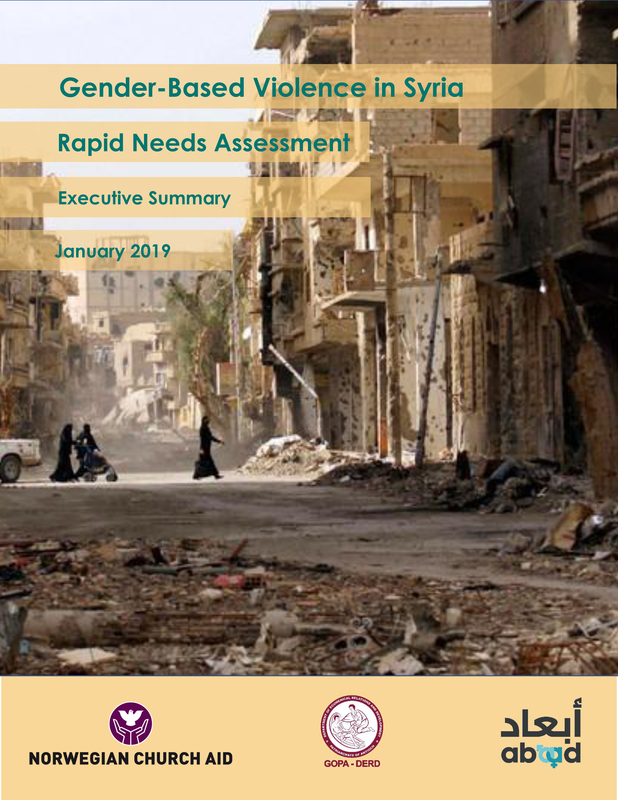 IRC’s rapid GBV assessment highlighted the myriad and severe protection issues women and girls faced before leaving Syria, and since arriving in Lebanon.